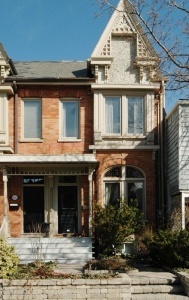 Subscribe here to receive a report of all of the houses sold for the past two weeks in Toronto's core neighbourhoods. Find Toronto Condos/Lofts For Sale and Sold listings here. Please pass it on - a terrific opportunity to own a stunning 3,400 sq.ft home on a lovely cul-de-sac in Collingwood, which is a hot 4 season destination for Torontonians! 186 Indian Road offers a warm and welcoming family home at its finest in High Park/Roncesvalles, one of the best locations in Toronto! A great opportunity to get into the market while you still can! Love living on a family-friendly, quiet street, in a superb west-end location that just keeps improving. 215 George Street is a stylish and modern 2600 sq ft freehold town home located on a quiet one way street in the heart of Downtown. Super Spacious Semi Set on 150 Foot South-Facing Lot! 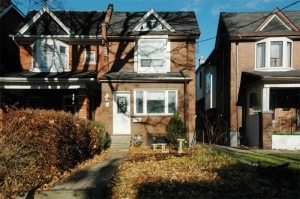 This extra-wide semi is located on popular Melrose Ave, one of the most sought-after neighbourhoods in North Toronto. Limitless potential to add on in the future if you so desire! Superb school district includes John Wanless P.S. 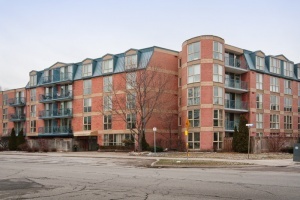 catchment near Yonge & Lawrence! 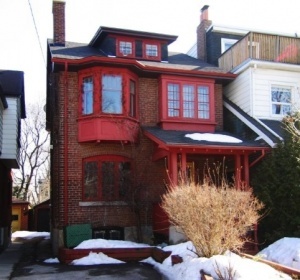 Turnkey Gem in Prime Roncy! The sellers have put a lot of love and $$ into this home and it shows! Beautifully renovated with attention to detail and design with many mechanical upgrades throughout! Bonus of dug down basement, newer garage, 2 car parking plus nice, big & private back yard. Attention Renovators & Builders! Picturesque Sunnylea opportunity! Solid brick 1919 bungalow ready to be topped up or rebuilt. (or could be ideal to renovate for Kingsway downsizers). 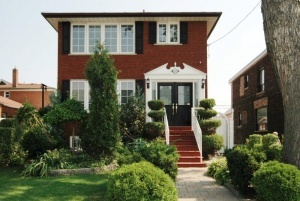 Located across from the lush Parklawn Cemetery grounds and in the preferred Sunnylea P.S. 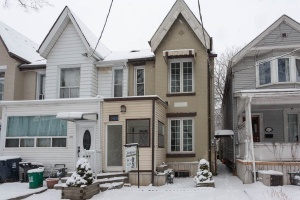 district, only a few blocks from Bloor St. Real opportunity to build a dream home. Rare double car garage. 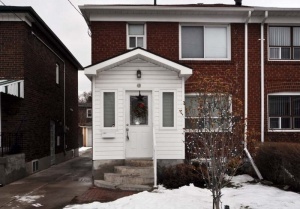 Good height in basement - income potential or nanny/in-law suite with separate entrance. Many beautiful rebuilt homes in the area. Prepare to be awed as you fall in love with this magnificent contemporary and completely renovated detached home located on a quiet cul-de-sac. 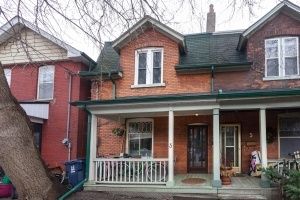 Beautiful 2.5 storey Victorian semi detached home with 3 large bedrooms and 4 baths. 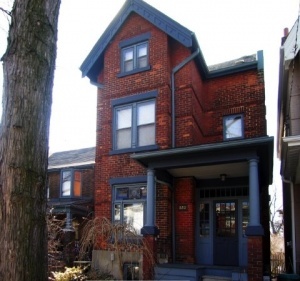 Super Spacious High Park/Roncesvalles Semi! This open concept, extensively updated, 2.5 storey, 4 bedroom, 2 full bathroom family home is move in ready! Located on a quiet and tight knit cul-de-sac, this is a warm and welcoming community in which to raise your family. Welcome home to this entertainer’s delight in the family-friendly Queensway Village! This beautiful brick, recently renovated detached 3 bedroom, 3 bathroom home with a main floor family room is ready to move right in and enjoy all its many perks! 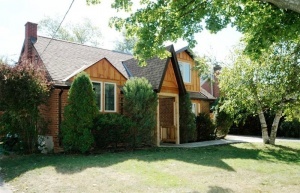 Set on a picturesque treed lot in a prime location just a short walk to the Lake, shops and transit. Your city retreat awaits you! Love Living on Leafy Linnsmore Crescent! Recent renovations galore! 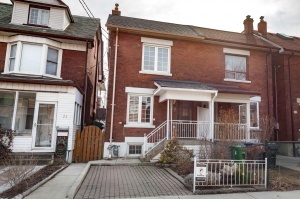 One lucky buyer will have the opportunity to move into this incredible 3 bedroom semi-detached home on a quiet street in trendy Danforth Village. 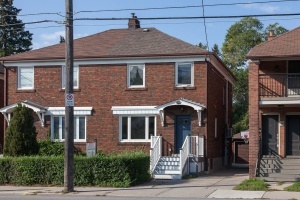 A quick 5 minute walk to Greenwood Station and a cozy community vibe make this the ideal location for family living with convenient access to downtown core. Completely renovated and stylishly designed detached, 2 ½ storey, 4+1 bedrooms, 4 bathrooms with lowered basement and newer double car garage! 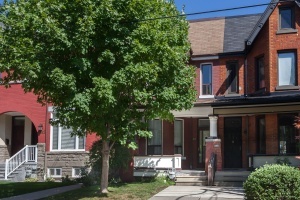 Located on a quiet and sought after street in one of Toronto’s most child friendly and centrally located pockets of the city! This home truly offers a growing family an exceptional quality of life. Opportunity knocks for 1 lucky buyer to move into this trendy, carefully renovated and spacious semi-detached! Located on a quiet cul-de-sac with Henrietta Park and playground at the end of the street! Incredible community spirit with organized street parties and summer picnics in the park. This super-spacious 3 bedroom semi will make you believe it's detached. 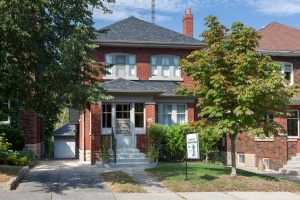 An early 1920’s home with original detail and modern flair located on a premium street in the Danforth area! Top ranking school district, walking distance to every amenity including the shops, markets and delicious restaurants of the Danforth, parks, hospital and a quick 4 minute walk to Donlands Station. Move just in time for the taste of the Danforth! 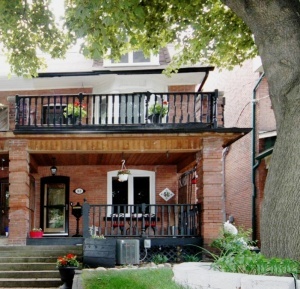 Rockstar Family Home in Roncesvalles! This is the type of home many growing families have been waiting for...and it doesn't come along often enough! 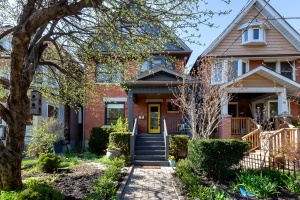 This stunning and spacious detached 2.5 storey, gorgeous home with double car garage off laneway is set on a tree-lined, one-way classic street in prime Roncesvalles. 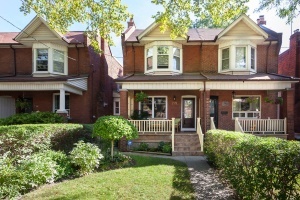 Opportunity Knocks in Prime Roncesvalles/High Park! As they say in real estate "location location location"! 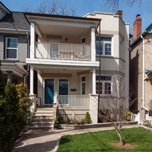 Constance Street is a premier street in one of Toronto's most desirable neighbourhoods and # 38 is ideally located within walking distance of all the action, schools & High Park. Sweet Semi on St Helens! 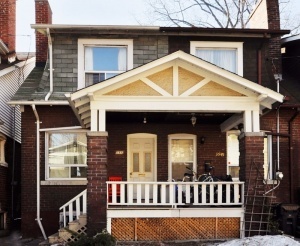 Spacious and perfectly proportioned, 3+1 bedroom, semi-detached 2-storey home in the Junction Triangle. Ideal 'hood' to get into while you still can and watch your investment grow! 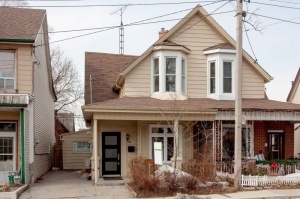 Detached 2.5 storey home set on a quiet, one-way street in Roncesvalles just steps to the action of Queen West. 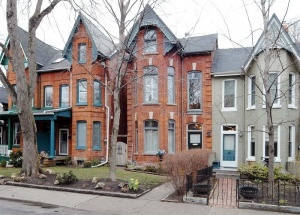 Stylish Victorian row house set on a dead-end street in a priceless location of the Junction. This circa 1880’s home oozes character and charm with a contemporary flair! See extensive list of costly upgrades and improvements done throughout the years! One lucky buyer will get the chance to move into this beautiful detached home never offered for sale until NOW. Original owners for the past 21 years! A true sense of pride and ownership is evident from the moment you enter! Beautiful and spacious home situated in the Junction, steps away from the convenience and charm of one of Toronto's most coveted neighbourhoods. 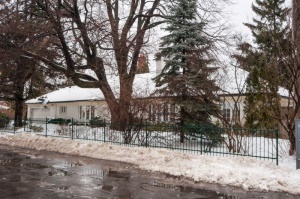 Huge Lot & Renovation Opportunity on Quiet Street in Prestigious Humber Valley Village! Looking to build new or renovate? 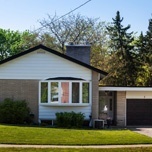 Check out this mid-century spacious detached side split with many vintage characteristics intact. Excellent floor plan with almost 3000 square feet of living space on all three levels. 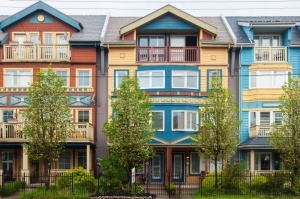 Trendy Town-Home in Prestigious Bayview Fairways Neighbourhood! Showroom quality 2 storey town is absolute perfection! Located on a quiet cul-de-sac where kids can safely play street hockey with their siblings and friends. Enjoy living a low-maintenance lifestyle with exceptional space for family living and entertaining. Spacious family home set on an extra deep 150 foot lot has limitless potential to add on in the future. A rare find in the area. Located in the sought after John Wanless P.S. district near Yonge & Lawrence! This absolutely stunning renovated 1890's Victorian is situated on a quiet and pretty tree-lined one-way street, easy walk to all the shops, parks, schools and more. Looking to live in a cool yet quiet central location with tenants to help pay the mortgage? Live in and/or rent out in this exceptional 'hood! 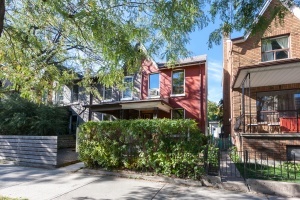 This part of Crawford is a wonderful winding tree-lined street just south of Harbord and a short walk to shops & restaurants, schools, TTC and a quick bike downtown. Spacious sunny detached on a quiet cul-de-sac, set on a wide 30 foot lot with rare private drive! 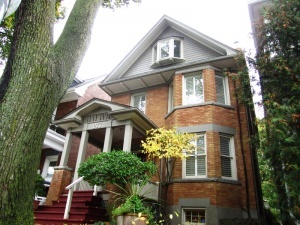 Grand principal rooms, 4 bright bedrooms, original pristine wood trim and mouldings throughout! 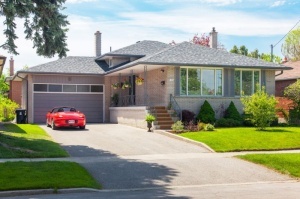 Family-friendly Bridlewood neighbourhood enveloped by mature trees, large homes and lush grounds. This large, 2-storey home is set on an extra-wide 50 foot lot boasting unbelievable living space! Inviting and upgraded 2-storey, 3+1 bedroom, 2-bathroom, light-filled rowhouse located on a premium street in the sought after Junction Neighbourhood. Simply stunning! Big wow factor in this gorgeous detached 2 storey home with large addition that is set on a picturesque and sprawling west facing 50 x 150 foot lot and just a couple of short blocks to the Lake and waterfront trail. Your city retreat awaits you! Springbrook Gardens! Beautiful property lovingly cared for by the same family for approximately 60 years. Calling all builders or renovators! This spacious, 3 bedroom bungalow with built-in garage and parking for 3 cars is set on a nice rectangular 42 x 119 foot lot. Just one house up from the corner so it backs onto other rear yards, this means even more greenery with a nice deep spacious feeling in the back, even if a larger home was built or an addition was added. 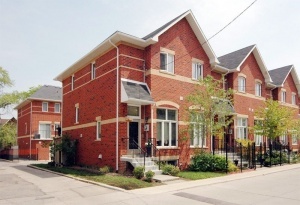 Showroom quality 3 storey Town Home is absolute perfection! Located on a quiet cul-de-sac where kids can safely play street hockey with their siblings and friends. Enjoy living a low-maintenance lifestyle with exceptional space for family living and entertaining. This detached bungalow is nicely tucked away at the end of a quiet cul-de-sac, set on a large and sunny 37.5 x 120.83 foot lot which widens to 100 feet in the rear. 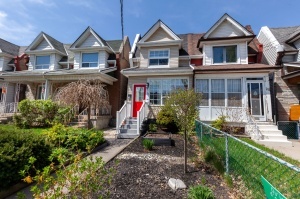 Don't miss this delightful opportunity to buy an actual DETACHED, 2 STOREY home in the thriving Corso Italia neighbourhood just steps to St. Clair and within walking distance to transit, great shopping, parks and restaurants! 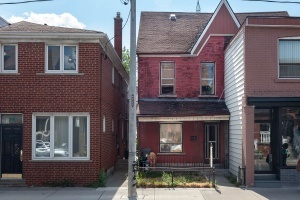 This adorable 3 bedroom brick semi-detached home is a great opportunity for moving up from a condo to a freehold house with a growing family. The combination of original charm & character, natural light, numerous upgrades and generous yard will leave a lasting impression! A unique urban home located on a quiet historic tree lined street! Centered around some of the best downtown neighbourhoods the City of Toronto has to offer - Little Italy, Kensington Market, the Annex, U Of T and Downtown core. 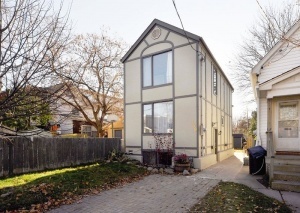 This extra-wide semi will trick you into believing it's detached. Renovated to create great flow for entertaining and daily family life! You'll enjoy the exceptional space and style. 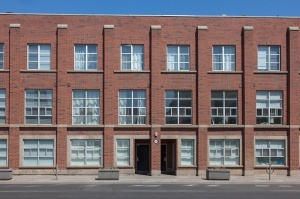 Attention Singles/Couples - Live in a cool, funky, loft-style, 2 storey owner's suite with extra income on 2nd floor! Surprisingly quiet. Entertain in style indoors or in the fabulous rear courtyard. 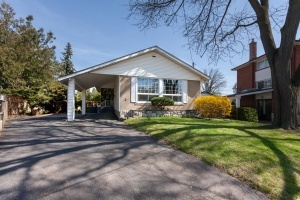 Impressive, detached bungalow set on a large picturesque and sunny lot in the sought after Norseman JMS, Etobicoke Collegiate and Etobicoke School of the Arts catchments!!! Rarely do homes come on the market for sale in this coveted pocket of the Centennial Park neighbourhood. Located on a pretty tree-lined setting with helpful and friendly neighbours! Open House: SOLD OVER ASKING! End of row Victorian style 3 bedroom townhome (that feels more like a semi) with soaring ceilings and a 1990 main floor laundry/mud room addition off the back. Proudly owned by the same family for the past 65 years! Opportunity knocks for 1st time buyers to move into this trendy, carefully renovated and spacious semi-detached! Fantastic opportunity to own a move-in ready home in a superb and safe neighbourhood which is close to the rapidly expanding and hot neighbourhood that is the Junction! Superb location! Inviting & upgraded 2 storey, 3 +1 bedroom Edwardian family home located on a premium street in one of Toronto’s most coveted west end neighbourhoods. This pretty tree-lined winding street is magical environment to raise your family! There is a friendly community spirit with many long time owners. 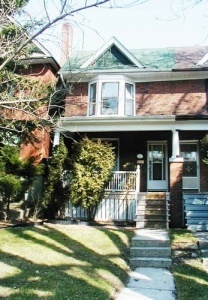 Lovingly-maintained, character-filled 2.5 storey semi-detached home offers plenty of space for the move-up buyer! Over 2900 square feet of dreamy living space with high ceilings, grand principal rooms and 5 bedrooms! As cute as a button on the outside as it is inside, a story book setting right out of Coronation Street! 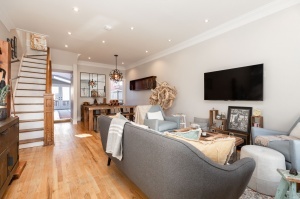 This stylish and fully renovated end of row freehold 1900’s home is located in the trendy and sought after Junction neighbourhood - nearby Keele & Dundas, offering superb shopping, transit and renowned schools! Cool mid-century solid home with over 3100 square feet of comfortable living space on both levels. Ideal to raise a family or downsize into a more one or two level living. 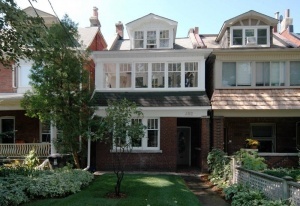 Prime Bloor West Village Family Home! 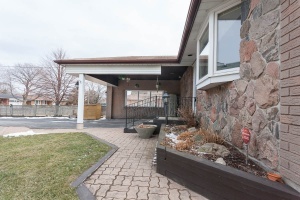 Beautifully renovated 4 bedroom centre hall complete with a separate basement suite! Enjoy the exceptional size and elegant style. Renovated to create a great flow for entertaining and daily family life! Remodelled kitchen, impeccable wood work and trim, 4 + 1 large bedrooms, 2 kitchens and 3 bathrooms! Original character and classic integrity combines with numerous modern upgrades! 3000 square feet of superb living space (including basement), and set on an extra wide 43 x 100 foot ravine lot. Stylish 2.5 storey, 4 bedrooms, 3 baths, with parking in ideal location walking distance to transit, great shopping, parks and restaurants! Real opportunity for a growing family! 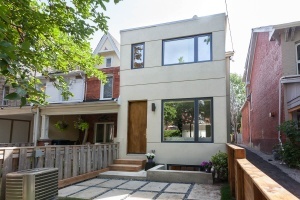 Sparkling New Custom Reno in Roncesvalles! 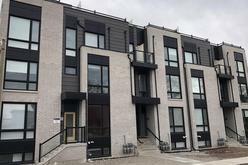 Uber modern, large and bright, 3+1 bedroom, 4 bath end of row townhome with new garage off laneway was gutted and rebuilt with permits in 2016. Major WOW factor! Live in one of the best pockets of the City where every amenity is right out your front door! Walk to popular Vermont Square Park, Christie Pits Park, Essex Jr. & Sr. public school, Christie subway station and all the fabulous shops and restaurants along Bloor Street West. 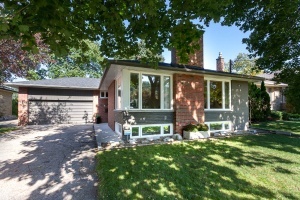 Striking Renovated Family Home in Mimico On Pool Sized Lot! 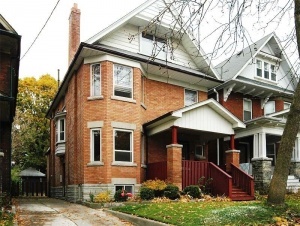 Fantastic opportunity to move into a classic “Olde” Mimico style detached home with many impressive upgrades. 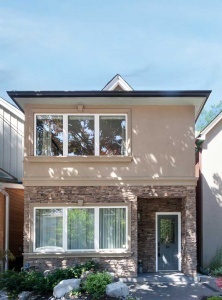 Bonus main floor family room addition and spectacular kitchen in a premium pocket of the city! Pretty Family Home on Prime Street in Seaton Village! 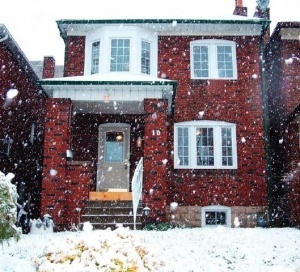 Spacious, bright and upgraded 3 bedroom red brick semi with a potential mortgage helper (separate entrance to finished basement) in one of Toronto’s hottest pockets of the city! Live close to excellent schools, shopping and transit! Real opportunity for growing families who want to put down roots in a fabulous community and neighbourhood. Family Friendly Roncy Home - Steps to All the Action! 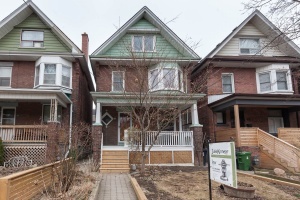 Pretty, updated, 3 bedroom, 2 full bath end of row (like a semi) on sought after Garden Avenue in a priceless Roncesvalles location. Over 1800 square feet including the finished lower level with a convenient separate entrance with recreation room plus 4 piece bath and kitchen! 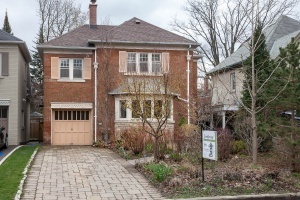 Grand, detached 2.5 storey home set on a wide 42' lot in this exclusive enclave of homes north of Bloor and West of Jane. 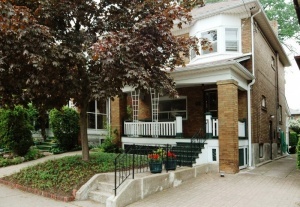 A unique opportunity to live in sophisticated surroundings in a beautiful, mature neighbourhood! Well Loved Family Home in John Ross Robertson Catchment! Fabulous, friendly, quiet street, with a unique location facing the pretty Kimbark-Coldstream ravine. 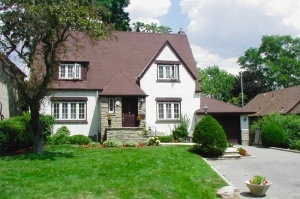 Easy walk to John Ross, Glenview, Havergal or Lawrence Park CI. This spacious, detached 4 bedroom, 3 bathroom family home with a built in garage is set on a wide 40 foot lot in this exclusive North Toronto neighbourhood! 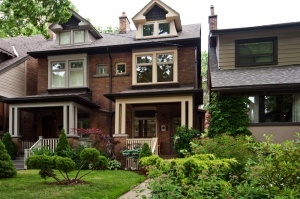 Often Admired High Park Family Home! This is the type of home many growing families have been waiting for…and it doesn’t come along often enough! Renovated with permits from top to bottom offering numerous bells and whistles. 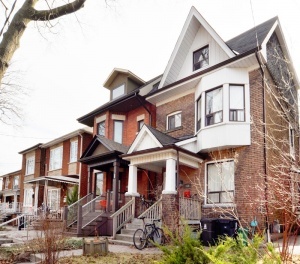 Prime location - just a couple of blocks to High Park, The Junction, and Humberside Collegiate! 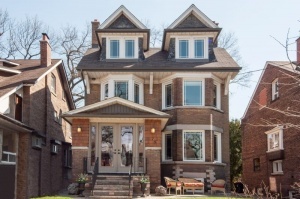 Stunning, Custom Re-built Roncy Home! Renovated with permits from the ground up - stripped down to the studs in 2015! Quality, designer finishes, and energy efficient upgrades throughout. Spacious 2300 square feet of sophisticated living space includes the finished lower level with own separate entrance! Country Setting in the City! 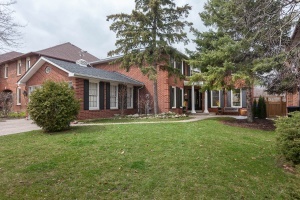 Family-friendly neighbourhood enveloped by mature trees, stately homes and lush grounds which borders the exclusive pocket of St. George’s Golf & Country Club in the sought after Richview Collegiate school catchment. 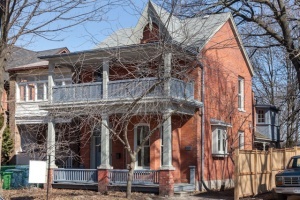 Grand 3 Storey Victorian in Dufferin Grove! 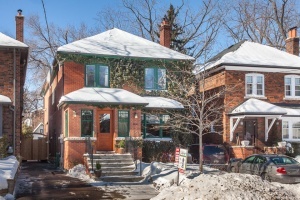 Sprawling, renovated and elegant 3 bedroom red brick semi-detached home incorporates the grandeur and grace of yesteryear with modern conveniences and mechanical upgrades of today! 3300 square feet over 4 levels includes an abundance of storage space in the lower level. 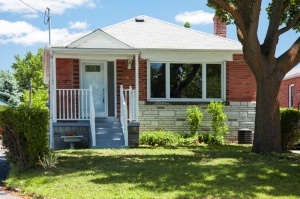 Renovated family home located in a premium pocket of “Olde” Mimico! 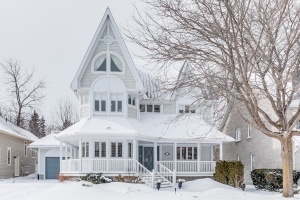 This detached, 2-storey classic home sits on a wide 30 ft lot with pretty wrought iron fencing surrounding the front of the house and a new wooden fence surrounding the back yard. 3 large bedrooms, 2.5 baths and a fully-finished lower level! 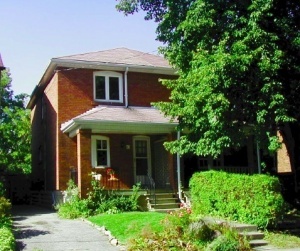 High Park Opportunity on Big Lot! Lots of potential to make this your forever home in this detached 4 bedroom century house that has been lovingly cared for by the same family for the past 60 years. Ideally set on a south facing rare extra wide 40 foot lot with a spacious yard in back to add on to, that leaves plenty of area for dog & kids play, as well as set apart from neighbours on either side. Private drive offers parking for 2 cars! 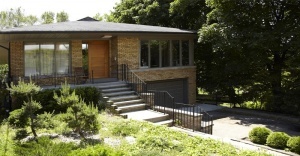 Contemporary Custom Renovation in Bedford Park! Light, bright and stylish, 3 storey end unit row house includes almost 2500 square feet of great family living space on all 4 levels! A unique opportunity as the original character of the approximately 90 year old home has been retained and combined with a modern flair, and 3rd storey addition in this superb leafy North Toronto neighbourhood. A true show piece! Coveted Swansea home on a spectacular 40’ lot! 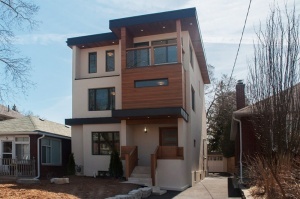 We proudly welcome you to 101 Mayfield Avenue - A custom renovation by the Caruk Group in 2008-2009. Invest in your forever home here, on one of the absolute best streets in this magical Swansea enclave! A truly one-of-a kind neighbourhood surrounded by mature trees, rolling hills and magnificent properties. 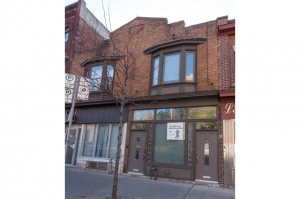 Opportunity in Hot Roncesvalles Village! Cherished, family owned home for over 53 years! 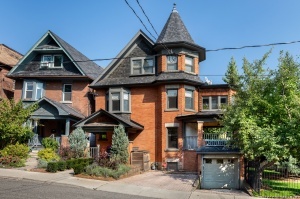 This exceptional south facing 2.5 storey Victorian style house boasts 5 bedrooms and 2200 square feet of sprawling living space PLUS the lower level. Much larger than it appears with 3000 square feet of incredible living/entertaining space! 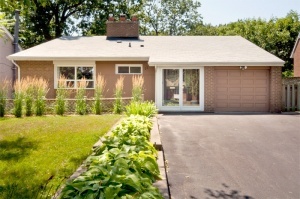 This detached bungalow is nicely set back from the street on a large pie-shaped, 170 foot deep lot. A pleasure to introduce and offer for sale! 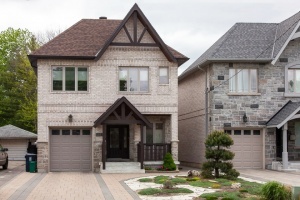 This coveted enclave of homes is in a beautiful, mature and convenient "Old City Etobicoke" neighbourhood that continues to flourish with a great deal of builders & buyers investing and growing the neighbourhood. Victorian semi-detached boasts a large addition off the back. Complete with 3 separate apartments, each with their own entrance. Sought after west-end location with friendly neighbours, steps to transit, schools, parks, fabulous shops, cafes, restaurants & markets. Desirable, detached 2 storey home set on a sunny, quiet corner lot on a beautiful tree-lined street in established Leaside neighbourhood. Classic centre hall plan with large principal rooms, 3 bedrooms and 3 baths! Finished lower level incorporates a renovated family recreation room with high ceilings, play room and excellent storage space throughout! 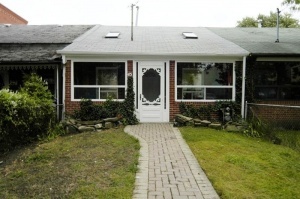 Extensively Renovated 3 Bedroom in Swansea! 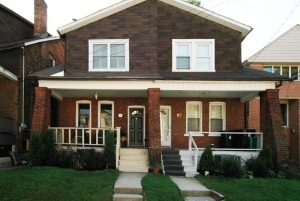 Freshly renovated, spacious and bright 3 bedroom, 2 full bath semi with parking! Opportunity for growing families who want to put down roots in a fabulous community and neighbourhood. Over $100,000 spent in recent upgrades! Turnkey just move in and enjoy! 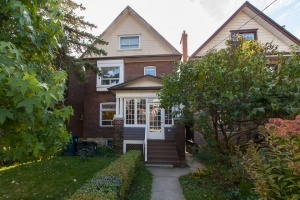 Spacious, Extra-Wide Semi in Bloor West! 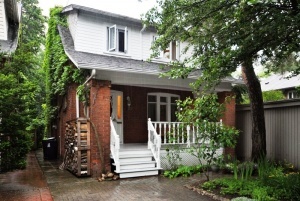 Nicely renovated classic 2-storey home set on a superb 26 x 134 foot lot. There are many tasteful and modern upgrades throughout while it maintains the original charm of its era. 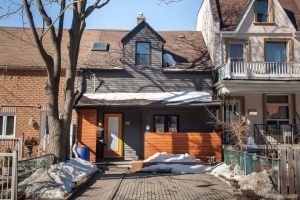 Often admired, cozy, Cape-Cod style detached 1.5 storey home in a fabulous location just a short walk to the best of The Junction and Bloor West Village. Amazing community spirit with helpful and considerate neighbours! 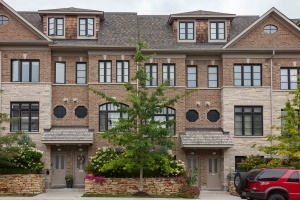 Showroom quality 3- storey Georgian-style townhome shows to absolute perfection! 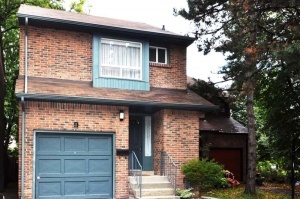 Located in the sought after Applewood East neighbourhood! Enjoy living a low-maintenance lifestyle with exceptional space for your family and friends. 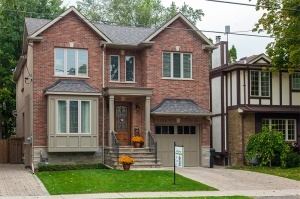 Handsome Detached North Toronto Family Home! Renovated and spacious 2 storey home set on an extra deep 150 foot lot is a rare find in the area with potential to add on in the future. 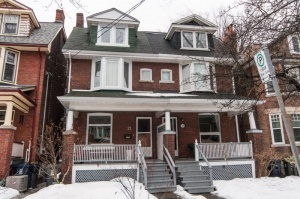 Located on the best block of St. Germain Avenue in the sought after John Wanless P.S. district near Yonge & Lawrence! 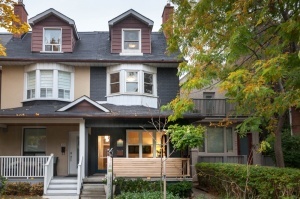 Stylish Character Home with Extra Pizzazz in Roncy! 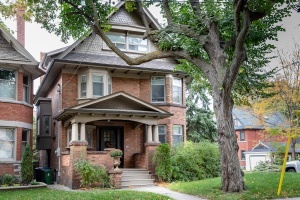 Over a century old Edwardian style, sprawling 3 storey semi boasting approximately 3000 square feet of superb living space (including the lower level). Don’t miss the extraordinary converted 380 sf Garage/Studio too! Stylish Renovated Family Home With Addition! Inside and out, this gorgeous house will leave a lasting impression. 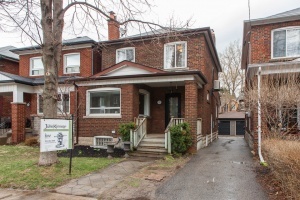 Spacious renovated 3+1 bedroom semi-detached family home boasting a wonderful main floor addition is located on a premium street in one of Toronto’s most established neighbourhoods. This pretty tree-lined winding street is magical environment to raise your family! There is a friendly community spirit and a true sense of pride and ownership! 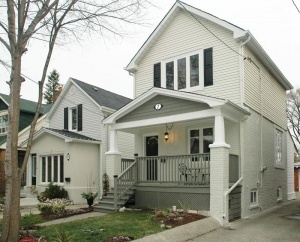 A renovated city gem - extensively upgraded home with many expensive and thoughtful updates. Loads of original character and charm throughout! Great opportunity to add on or build in the future! 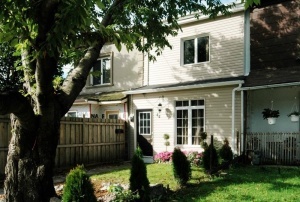 This detached 1.5 storey home boasts a great floor plan for family living and entertaining! Extra long, private drive with parking for 3-4 cars is a rare find! Well maintained and landscaped yards and garden! Charming Semi in Prime Swansea! Move right into this classic semi-detached home in a prime location just steps to all the fabulous shops, markets and restaurants of Bloor West Village! Welcome to 272/274 High Park Avenue, one of the most sought after streets in the neighbourhood! Hugely spacious, 2 storey purpose built duplex, boasting 4500 square feet (including the 2 lower level suites). Complete with 4 separate apartments each with their own entrance. Amazing 2nd floor 'owner' suite!! A traditional home with contemporary style! Fantastic opportunity to move into a detached, 2-storey updated home in a premium pocket of East York. 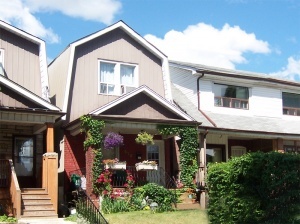 Friendly neighbourhood surrounded by excellent shopping, restaurants, schools and TTC! Move just in time for the taste of the Danforth! Inside and out, this gorgeous house will leave a lasting impression. Recently renovated from top to bottom with 3 bedrooms, an office/den, 2 full baths, finished lower level and many thoughtful upgrades throughout. Turnkey opportunity! Just move in and enjoy. 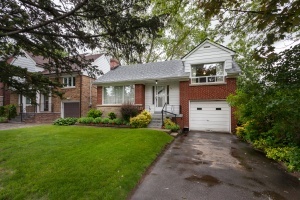 This quiet, family-friendly, treed neighbourhood is exceptional. Walk to the best restaurants and shops of The Junction & Bloor West. Superb school district! 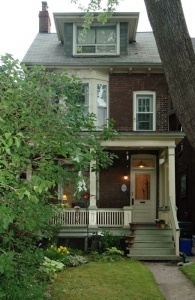 Classic High Park/Roncy Home! This spacious, 2.5 storey semi-detached boasts 2050 square feet of superb living space on all levels (including the lower level). A perfect mix of modern comfort & beautiful architectural design with nothing left to do but move in! Flooded with natural light this spacious 1150 square foot, 3 level townhome offers spectacular indoor & outdoor area. 2 + 1 bedrooms, 2 baths, built-in garage, plus preferred deck off living room, as well as the rooftop terrace - just in time for summer fun. Traditional Chaplin Family Home With 2 Storey Addition! This detached, 2 storey renovated family home includes 2600 square feet of charming living space (including lower level) and sits on a wide 30 foot lot. 3 parking spots is a rare find in the area! Legal front pad parking and wide driveway provides easy access to the detached garage. 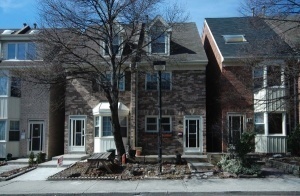 Luxurious Freehold TownHome! Don't be fooled by the address -it is in a little mews well off the main street, the very quiet end unit! One of only 6 with both front patio and rooftop terrace. This pristine, 3 storey red brick Georgian town shows to absolute perfection! Bonus of own private parking garage and entrance into the home. Enjoy living a low- maintenance lifestyle with exceptional space for entertaining family and friends. Surprisingly spacious & beautifully renovated! 3 bedroom, 3 bath home boasts many thoughtful upgrades with meticulous attention to detail & design while retaining its original charm! Many worry free mechanical upgrades, no knob & tube. 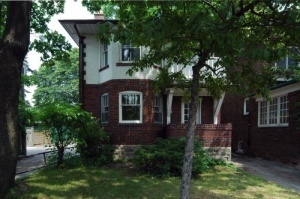 Live/Rent in Grand High Park Home! 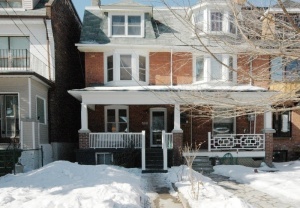 Spacious 2.5 storey in a prime west end location! 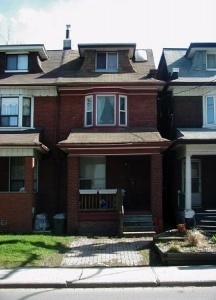 Currently a Duplex with 2 separate, 2 floor suites with own entrances. Presents many opportunities for the savvy buyer! ● Convert to a huge single family home. Set on an extra large (26 x 120 foot) sunny south and west facing corner lot with a welcoming "olde" fashioned large wrap around deck. This bright, updated semi-detached High Park home oozes character and charm with many modern upgrades and mechanicals throughout (so large it's hard to tell it's a semi). A true sense of pride and ownership really shows! 2 large units, 4 + 1 bedrooms, 2 baths, 2 kitchens, separate laundry for each suite plus private drive, parking for up to 4 cars. Plenty of outdoor space for all to enjoy – gardening, play, and barbeques! 2nd floor private balcony, large deck and fenced yard. 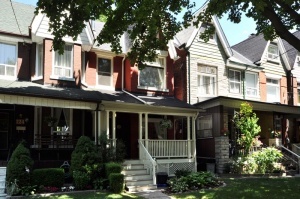 Wonderful child friendly pocket of High Park – neighbours include a combo of young families & established households – everyone appreciates the mature tree lined streets! 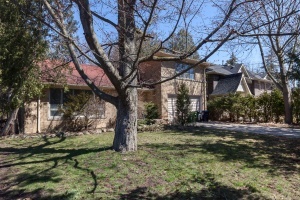 This 3 bedroom detached urban retreat is located in the highly sought after "Fallingbrook" district known for its lush ravine topography and splendid manor houses just minutes to the Lake and picturesque grounds of the Toronto Hunt Club. 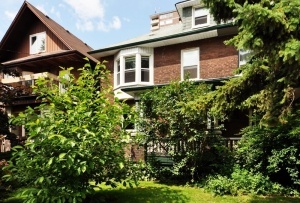 Courcelette is one of the most coveted streets in the neighbourhood due to its proximity to the renown Courcelette Jr. P.S just a quick 3 minute walk away. 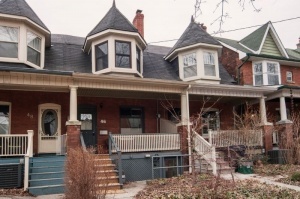 Fab 3 Bedroom in Roncesvalles! This much admired home is the one you have been patiently waiting for! Loads of modern upgrades and renovations, in the coveted Howard Jr. Public School district! Enjoy south facing spacious back yard and divine outdoor living space just in time for summer! 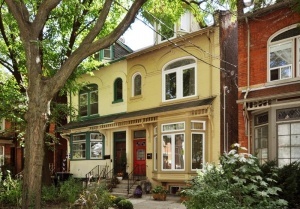 Priceless location on one of the most sought after streets in Roncesvalles Village. To see it is to love it. This is truly a book with a gorgeous cover and an even better story! As picture-perfect inside as it is out. 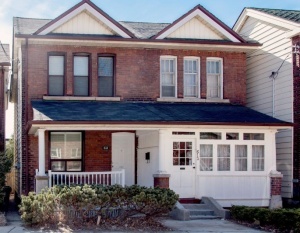 2-storey extra-wide semi-detached home boasts extensive modern renovations and tons of original character! Move-Up Forever Family Home in Chaplin! Your search is over! Looking for a home on a premium street? In one of Toronto’s most established uptown neighbourhoods? That ticks all the boxes on your wish list? 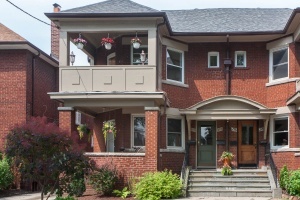 This classic Chaplin Estates family home is calling your name. 2 storey, detached fully upgraded masterpiece includes a sprawling 3900 square feet of living space (including lower level) and sits on a wide & deep 31 x 124 foot lot. With meticulous attention to detail throughout, this is a serene blend of classic charm and character mixed with modern renovations and mechanicals. Extra large 18 x 21 foot 3 storey addition (2011) incorporates the much preferred open concept kitchen/family room and breakfast/office area. Plus a spectacular master bedroom suite, and in-law/nanny suite in lower level! 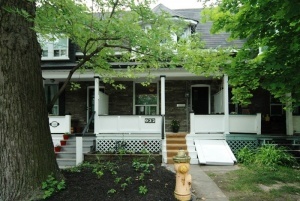 Renovated Home in Trendy Roncy! 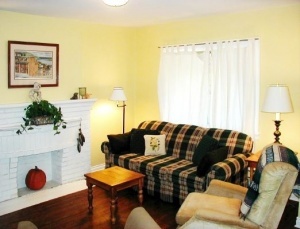 Sunny 3 bedroom semi shows beautifully – ready for a young family or couple to move right in! Major renovation in 2012 with permits includes eat-in kitchen, 2 full baths, fully finished lower level with good ceiling height, and a walk out to a big yard for kids or dogs play. Open concept for entertaining friends & family. Stunning, Custom Re-built Masterpiece! Renovated from the ground up with only the finest of finishes, design & materials used throughout. Detached home with 3445 square feet including lower level - a unique and thoughtful family friendly layout! 3+1 bedrooms, 4 baths, fully finished lower level. Picture Perfect Home! 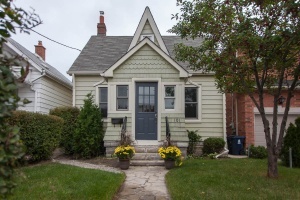 Fantastic opportunity to move into a classic Olde Mimico style detached, brick 2 storey, renovated charming home in a premium pocket of the city! 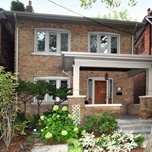 Expansive Home in Prime Roncy/High Park! Home has been lovingly cared for and been in the family for generations! This extraordinarily large 2.5 storey home boasts 4660 square feet of potential living space (including generous brick addition) plus a detached 2 car garage via lane! See extensive list of $$ mechanical upgrades! 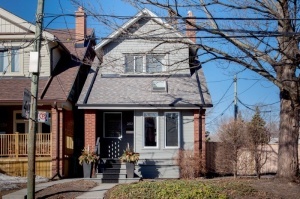 Think you can't afford to buy a renovated detached home in the Junction? Think again! A remarkable opportunity to move into a detached home in a prime location of the Junction at a fraction of the price! Nearby Downtown, Family Friendly 'hood!! Beautiful semi in a fabulous location. 3 bedrooms, 2 full baths + finished lower level with a separate entrance. Excellent income potential. Fabulous detached garage. 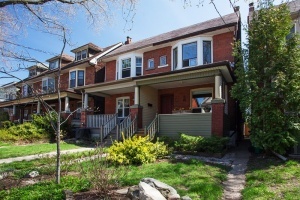 Attention urbanites looking for a hip thriving neighbourhood – walk to Ossington TTC station, shops, schools & Christie Pits. Easy bike ride downtown. Luxurious & stylish 3950 square foot (including lower level) home just 5 years new! 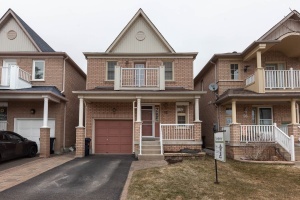 This detached, extra wide 2 storey home truly offers a growing family an exceptional quality of life! 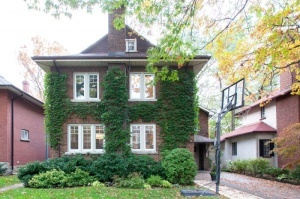 Impressive Family Home in Prime Bloor West! Attention growing families! 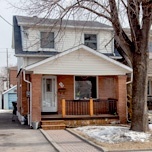 This very spacious, character filled 2 storey detached home features a main floor addition (done with permits) for an extra large eat-in kitchen area or small den, 4 bedrooms, 2 full baths, dug down & beautifully finished lower level, mechanical improvements, legal front pad parking and an extra deep lot for outdoor space. Premium location, just steps to Yonge & Eglinton! Walk to the subway and all the fabulous shops, restaurants & night life this vibrant neighbourhood has to offer! A renovated city gem with a cosy cottage feel! Set on the sunny side of the street, this detached 2 storey home boasts modern updates yet loads of original character and charm throughout. New main floor mud room, 3 bedrooms, 2 baths, fully finished lower level, parking and plenty of outdoor space including an organic vegetable garden! 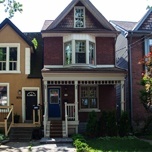 Fabulous Live/Rent in Hip Junction Hood! 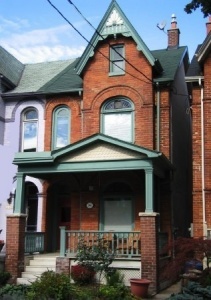 Spacious 2.5 storey Victorian Duplex with 2 lovely suites! What a golden opportunity to get into this sought after Junction neighbourhood! Located on quiet one-way street keeps traffic to a minimum. 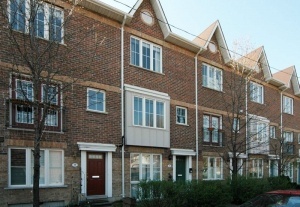 Within walking distance to the subway and trendy Junction shops! Ideal owner occupied with rental income. Downsizers could live in plenty of space while gaining income, or keep as an investment property in a prime location! Could easily be converted to a spacious single family dwelling at your leisure! Many options for a savvy buyer/investor! 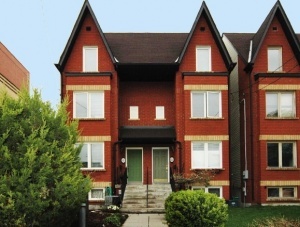 2 large units on 3 levels with great ceiling height throughout! 4 + bedrooms, 3 full baths, each unit has its own laundry, there is plenty of outdoor space and a wide 1.5 car garage! This is the one you have been waiting for all summer! Original character blends with clever modern improvements. 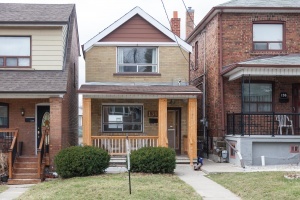 This 3 bedroom end of row (like a semi) includes remodelled kitchen & 2 full baths, fully finished lower level, 2 car parking and upgraded mechanicals. 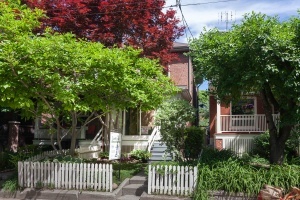 Priceless location in Roncesvalles Village – pretty tree-lined street in the middle of the action, half a block to Roncy or Sorauren Park! This trendy area has been voted as one of the best neighbourhoods to live in Toronto. 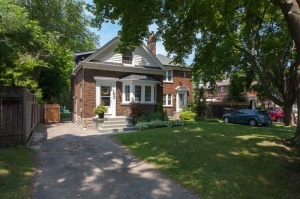 Situated on a spectacular 40 x 115 foot lot this spacious renovated home is located on a quiet one way street. 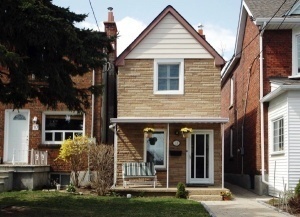 Perfect for a young family looking to put down roots in a thriving neighbourhood. Great opportunity to add on or build in the future. 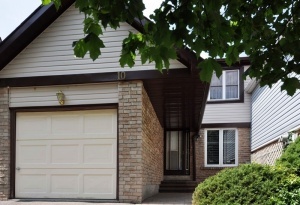 This detached 1.5 storey home boasts a great floor plan for family living and entertaining. 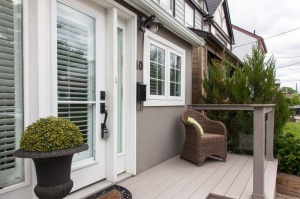 Featuring an additional sunroom with panoramic views of the south facing deck and garden. Friendly sought after neighbourhood offers quick & easy access to the downtown core and vibrant waterfront location. One block to Lake Ontario! This gorgeous 3 bedroom, 4 bath home was gutted to the studs & completely renovated with high end materials, including finished lowered basement. Excellent opportunity to move into a detached, 1.5 storey home in a fabulous location just a short walk to the best of The Junction and Bloor West Village. Stunning custom rebuilt family home in sought after Kingsway pocket! Hello gorgeous! Beautifully renovated with exceptional size & style. 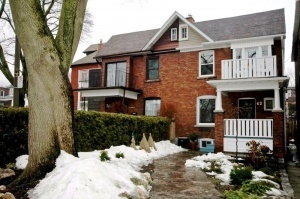 Rare 3 storey addition including main floor family room & extra large master! 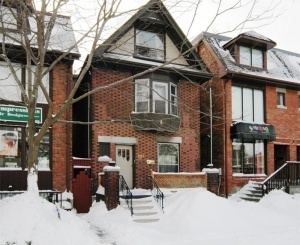 Located in a premium location in Bloor West Village! Just a block to Runnymede Public School, Bloor Street Shops and the subway! 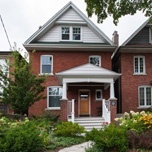 Great flow for entertaining and family lifestyle with elegant oversized principal rooms, impeccably renovated “Marcon” kitchen 2013, 4 large bedrooms, 2 full baths, lots of original charm & character intact plus an expansive finished lower level with a separate entrance! Victorian Splendour in Prime Location! This glorious, renovated 1890’s Victorian is situated on one of the prettiest & most popular streets in the 'hood! Extra spacious 3 storey, 4 bedroom, 3 bath home with 2nd floor laundry & a separate basement suite oozes original period charm and soaring ceilings while integrating modern design. Captivating rear yard for outdoor entertaining. Thoughtful quality renovations and high end mechanical upgrades creates a magical opportunity for a growing family. Fully renovated & gorgeous "Painted Lady" freehold home with Lake Views! Just In Time For Summer. Steps To The Beach, Boardwalk & Funky Shops Of Queen St. East. Prepare to fall in love from the moment you enter this renovated truly “one of a kind” home complete with 3 bedrooms, plus home office/den, family room, 3 baths and 2 car garage. Granite counters, stainless appliances, California shutters throughout, hardwood on 3 levels, California Closets in Master, plus Gas bbq hookup. Views of Lake Ontario! South Sunnylea 4 Bedroom Family Home! 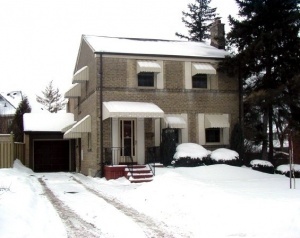 Sprawling renovated 4 level backsplit! Set on a superior extra wide 53’ foot lot in the sought after neighbourhood of South Sunnylea! Cool 50's era solidly built home with over 2500 square feet throughout! Gracious & sunny principal rooms, main floor family room, 2 full baths and a fully finished lower level! Attention car officiandos... Attached double car garage (with 2nd storey storage) and double private drive offers 6 rare parking spaces. Picture Perfect Custom Build! Just 5 years new with 3930 square feet (including the lower level) of luxurious craftsmanship, stylish décor and only the finest of finishes and fixtures throughout! Ideal for a growing family with 4 bedrooms & 5 bathrooms! Massive pool size lot! 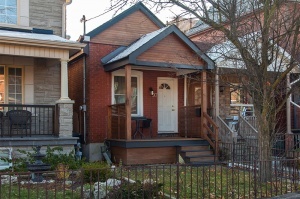 Stylish Semi in Junction/Bloor West! A lasting first impression inside and out. Turnkey opportunity! 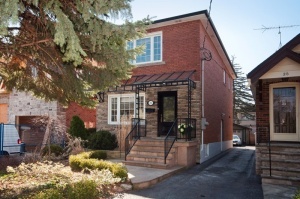 Located on a sunny, private corner lot overlooking a pretty parkette! extra deep lot, this home is special! and much preferred open concept layout. extremely quiet, safe family friendly street! 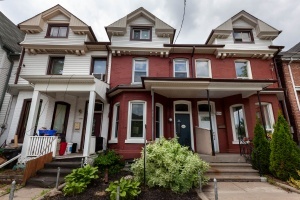 Spacious Updated Semi in Upper Annex! 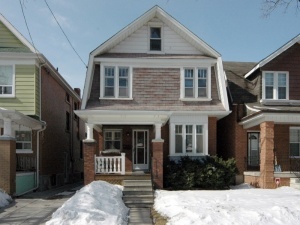 Bright, charming and upgraded 3 bedroom 3 bath Edwardian semi is a wonderful opportunity to call home! Welcome to this sprawling Georgian beauty set on a picturesque 40 x 140 foot lot in the exclusive Amour Heights / Cricket Club neighbourhood! Incredible value for this upgraded home with 4 bedroom plus office upstairs, 4 bathrooms, main floor family room & finished basement! Raise your growing family in an amazingly quiet enclave of homes enveloped by mature trees, lush grounds, the best of the best schools and fabulous shopping! 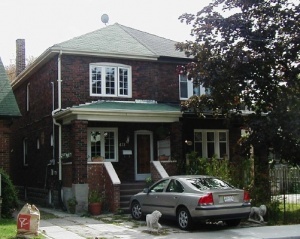 Surprisingly spacious 2 bedroom, 2 bathroom fully modernized home with outstanding yard plus 2 car parking! Attention 1st ideal ‘hood’ to get into while you still can and watch your investment grow! The Junction is one of the hottest neighbourhoods in Toronto. The revitalization continues as the coolest indie shops and services open. Located on a quiet corner lot in a premium pocket of Swansea walk to every amenity! A truly one-of-a kind neighbourhood surrounded by beautiful mature trees and properties. Enjoy the benefit of family time and kids playing on Rambert Crescent. This modern, fully renovated detached 2 storey home incorporates all the bells & whistles! Open concept on your wish list? Divine main floor for entertaining and a busy household! Opportunity Knocks! Are you a 1st time or condo move-up buyer? Growing family? Savvy investor? Well, here is your chance to own a freehold property in a HOT location! 1st Time Buyers Opportunity! Looking to get into the market at an affordable price? Well look no further! and magnificent properties. 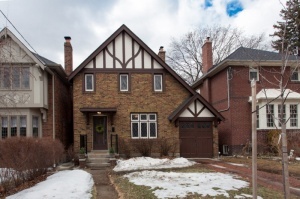 Tudor Style, detached, 2-storey home set on the sunny side of the street! 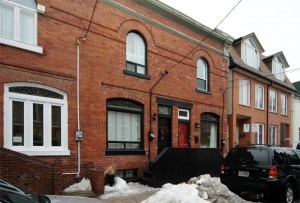 Annex Beauty Live In - with Rental Income ! This detached 2 storey with plenty of parking boasts many possibilities! Currently a duplex with 2 spacious comfortable self contained apartments. Grand Detached on Rare 50' lot! 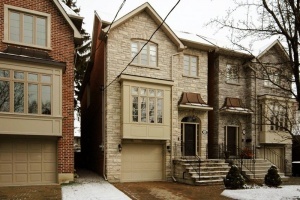 Elegance in Exclusive Enclave North of Bloor! 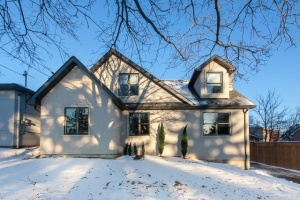 Sprawling 2.5 storey, 5 bedroom, 3 bathroom (almost 4000 square feet!) stately residence with private drive & gorgeous west facing sunset vistas. Special opportunity to own this fabulous renovated detached 2 storey home with 3 bedrooms & 2 baths in a great community! 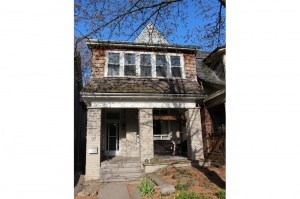 Superb Semi Near Junction & Bloor West Village! Surprisingly spacious 3 bedroom/2 bathroom with parking on a fabulous tree lined street makes this an ideal ‘hood’ to raise your family! 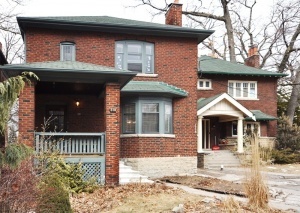 Spacious Family Home in High Park! 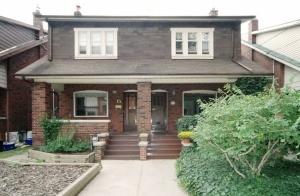 Classic High Park detached brick 2 ½ storey home on highly sought after Pacific Avenue! Gorgeous 25 x 159 extra deep lot! Wonderful blend of original charm & character with significant recent renovations & mechanical upgrades. Spacious Home on Best Street of Riverdale! Who would not want to live on De Grassi Street? One of Toronto’s most famous streets! The sellers have loved all that this urban family friendly neighbourhood has to offer including some of the best schools, shopping and parks. Large detached 2 ½ storey renovated “forever” family home offers a rare opportunity for the most discerning of move-up buyers. 3+1 bedrooms, 4 baths and an expansive lower level! Beautifully updated & upgraded detached 2 storey centre hall plan with main floor addition in exclusive pocket of The Kingsway steps to Bloor & Royal York! 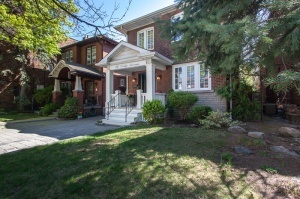 Elegant Family Home on Rare Lot in Islington Heights! Magnificent “move up” home with expansive and rarely available 80 x 129 lot – it's like your cottage in the city! Lush property uniquely allows plenty of space for the gorgeous Betz inground pool & surround PLUS huge yard, & deck for entertaining & play. Attn Savvy 1st Time Buyers or Empty Nesters! Classic detached 3 bedroom bungalow with income potential in prime west end location close to transit, schools & shopping! Gorgeous serene setting with Silverhill Park right across the street for kids and pets to play. Spacious updated 3 bedroom detached bungalow set on a premium 50 foot south lot in the sought after neighbourhood of Princess Gardens! 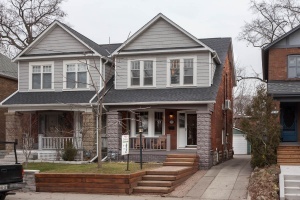 Renovated 4 bedroom family home in Prime Bloor West Village! Located on a premium street in the established pocket of Bloor West in the preferred school catchment and where every amenity is at your doorstep! 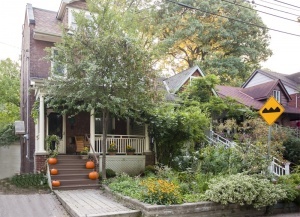 This quiet tree-lined street that does not hit Bloor is a hidden treasure. Spacious Family Home! 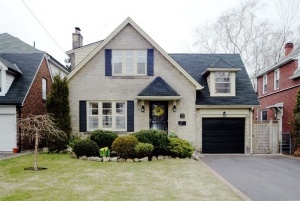 Gorgeous detached home on picturesque 45 x 110 foot lot in superior Sunnylea location. Plenty of custom work & designer touches throughout make this a dream home in which to live and raise your family. 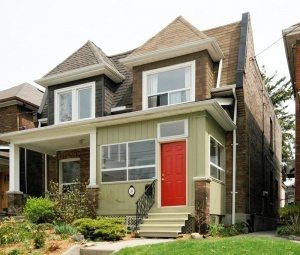 Spacious Semi in Prime Roncesvalles! 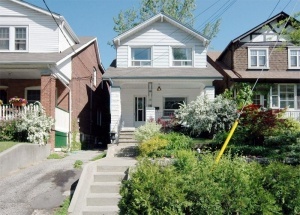 Set on a beautiful sunny south facing lot on a quiet tree-lined block literally steps to Sorauren Park! Recently updated solid 3 bedroom, 2 full bath family home with finished basement and parking offers comfortable living space throughout. No knob & tube wiring! Prime Beach Street & Opportunity! 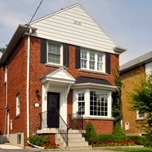 Very appealing updated home in fabulous location in one of Toronto’s most popular family friendly neighbourhoods. 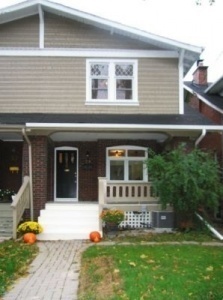 Attractive Cape Cod style 2 storey DETACHED 2+1 bedroom with legal front pad parking! Light, bright, and airy with many upgrades and full of true beach character! Ready to move right in! Live for Free in Roncy! 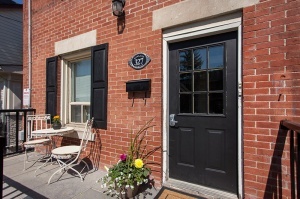 Enjoy life & lots of help with the mortgage in stylish Roncesvalles renovated duplex with basement suite in the heart of Toronto’s hip and happening Roncesvalles neighbourhood. Grand High Park Home! 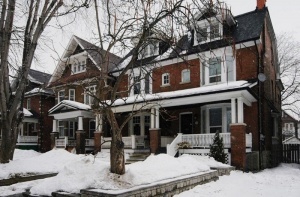 Stately detached 3 storey home with impressive 40 x 130 foot lot on premier street! Extensively updated, while maintaining the classic integrity of the period architecture. Incredible 7 plus bedrooms, 4 baths, main floor family room, 2nd floor sunroom plus finished lower level with nanny/in-law suite for a total of 4450 square feet! Private drive & 2 storey garage. 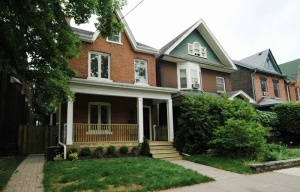 Fabulous Live/Rent in High Park! 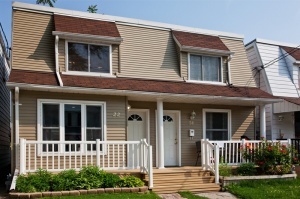 Spacious 2.5 storey extensively upgraded & renovated semi with 3 lovely suites! 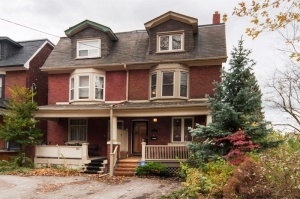 What a golden opportunity to get into this sought after High Park neighbourhood! Could convert to a spacious single family dwelling at your leisure. Magnificent contemporary style custom 3 storey, 3+1 bedroom, 4 bath family home on 32 foot wide lot in an exceptional Bloor West Village location! Complete 2013 renovation combines meticulous attention to detail & design, incorporating eco-friendly technology, aesthetically soothing materials & energy efficient systems throughout. Spoil yourself with all the luxurious bells and whistles! 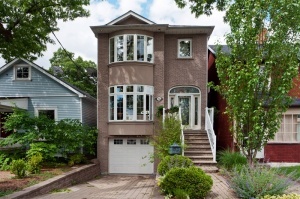 Stylish & Sophisticated Home in Prime Roncy! Immaculate, renovated 3 bedroom, 2 full bath home with fully finished lower level, main floor family/sunroom, parking & extensive mechanical upgrades is the complete package! The wait is over! Spacious, 3 storey, classic semi-detached family home with parking for two cars and gorgeous, professionally landscaped yards! 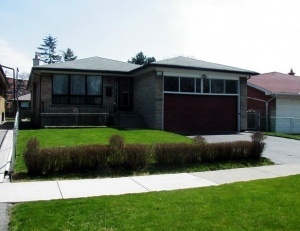 Sprawling ranch style bungalow situated on a superior 60 x 133.65 foot lot in the distinguished location of Lawrence Park. Features 4 bedrooms, 3 baths, attached 2 car garage and private drive parking for 2 additional cars! Holy moly what an opportunity to own your own house in a hip “hood” offering 2 bedrooms, 2 full baths and 2 car parking with the privacy of having your own back yard! This turn-key, bright and spacious home is truly a gem! Very cool loft alternative! Upgraded detached home in a vibrant west end neighbourhood! Future potential to top up or add on! Happy New Year! Calling all builders, renovators & buyers looking for a fantastic opportunity to build the home of your dreams in a prime downtown location! Welcome to this sparkling renovated ranch bungalow situated on a superior EXTRA WIDE lot in the mature Lakeview neighbourhood! The current owners have loved living on such a quiet street with a convenient hiking trail at the end as well as a kid’s playground and parkette! A rare offering of a long time cherished family home! An opportunity for a new family the chance to update it and make it their own. Stunning & large family home! 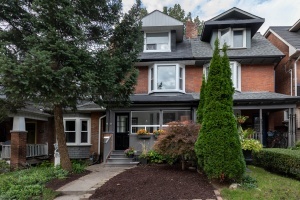 Located on a quiet, pretty, tree-lined street in the highly desired Roncesvalles Village/High Park neighbourhood just steps to coveted Garden Avenue Public School! Not often does a property come onto the market that offers so much! A spacious & stylish environment in which to raise your family! Ideal Starter Home in Prime Location! 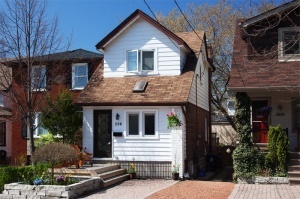 Adorable detached 1.5 storey home located in one of Toronto’s hidden treasures known as “The Pocket” adjacent to Riverdale. Beach Family Home Backing onto Kew Gardens! The wait is over! Fabulous extensively renovated detached 3 storey family home with private drive and garage backing onto pretty Kew Gardens! Steps to the water! Backs onto Ravine! Gorgeous Reno! MUST SEE! Much larger than it appears! A serene country feel in a sought after city location is a dream to come home to! Unbelievable custom modern renovation overlooking Chapman Valley Park & Creek! 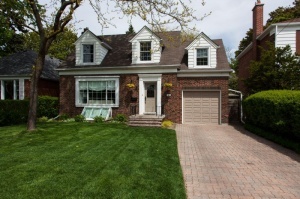 Sprawling detached backsplit on superior lot with built-in garage plus private drive for 4 cars! Saxony is a very quiet Crescent situated across from the Humber River amongst multi-million dollar custom homes being built. Thoughtfully renovated and upgraded Victorian with rare main floor family room addition, private south facing back deck & gardens! 3 bedrooms, 2 full baths. 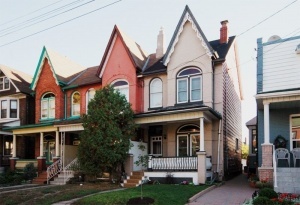 Roncesvalles Village has been voted one of the best neighbourhoods to live in Toronto. 49 Wright is just steps to Sorauren Park & down the street of glorious High Park, as well as all the fantastic shops, boutiques and mouth watering restaurants of Roncy & Parkdale! Highly regarded school catchment! Luxurious, sprawling custom built home with an abundance of light! Exceptional main floor family room! Amazing main floor laundry & powder room! Rare private drive! Built-in garage and bonus of access from inside the house! A true oasis in the city. Handsome family home - upgraded, well maintained, spacious and full of character! Superb location half a block to Bloor. Gourmet Kitchen overlooks the rare main floor family room! Huge deep 155 foot deep fully landscaped lot. 305 Durie is on a magical tree-lined street of lovely homes in the highly desirable first block north of Bloor Street West. Attention 1st time buyers! 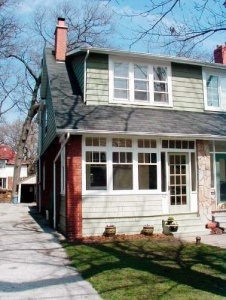 Adorable “condo alternative” - yet freehold with a beautiful yard! Total gut renovation and rebuilt in 2005 - professionally done and ready to move right in! Open concept main floor is ideal for entertaining! Short WALK to Greenwood Subway! Stylish Renovated Semi! 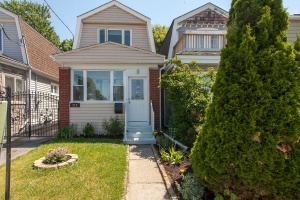 Gorgeous sun-filled 3 bedroom starter home in vibrant west end location! 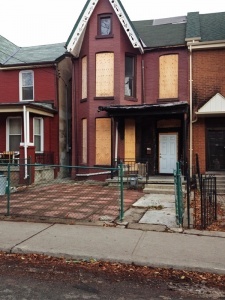 Quality renovation (2011) with permits! Simply move in & enjoy. Mechanical upgrades include re-placed wiring (no knob and tube), plumbing throughout; new windows and doors, new furnace & central air conditioning. Best part of St Clarens! Get into this hot pocket of the city close to TTC, shopping, dining and schools. Fantastic low maintenance way of life! “New York” type Brownstone! Entertain in style! 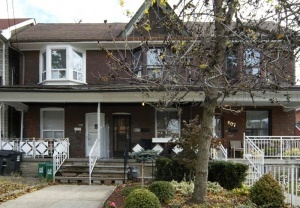 Unique opportunity to own a larger “totally done” home in this prime neighbourhood – steps to Pape & Danforth. Sparkling bright & sprawling 3 storey, 3 bedroom, 3 bath, with finished basement, towering ceilings, fabulous layout, designer décor and upgrades throughout. Gourmet kitchen overlooks elegant living & dining room. Cosy gas fireplace. Walk- out to private west facing terrace! Private third floor master bedroom sanctuary! Preferred 2 car parking off the laneway. Highly desirable, quiet, family friendly neighbourhood! Immaculate spacious semi boasting extensive mechanical upgrades plus renovations & improvements while maintaining the original classic character and charm of the home. 3 large bedrooms. 2 full baths. Stunning new 4 piece family bath (2010) with heated floors! Recently finished lower level (2011) with tall ceilings. 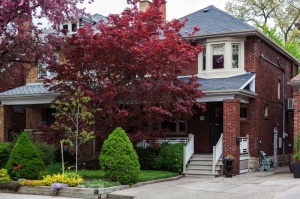 Pacific Avenue is one of the most sought after streets in this wonderful family friendly pocket of High Park, north of Bloor! Just a short stroll to Keele or High Park Subway stations! 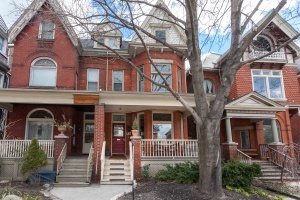 Super spacious upgraded Victorian row house in quiet residential up and coming downtown Toronto neighbourhood! Inviting open concept living/dining with soaring ceilings! Bright & modern large kitchen with gas range. Rare main floor family room addition walks out to the backyard patio & yard. Entertain indoors & out. 3 bedrooms, 2 full baths. Garage parking for 1 car. All wiring replaced (no knob & tube!) Separate entrance to basement. 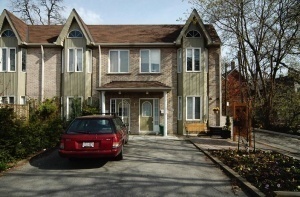 Sun-filled family sized semi-detached home on sought after south facing deep 160 foot ravine like lot. 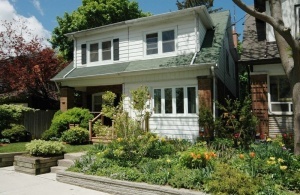 Sensational neighbourhood - located on quiet kid friendly street nearby subway, parks & schools in High Park. Must See! 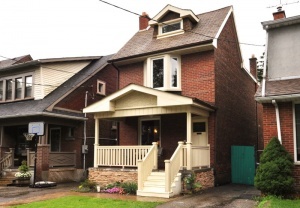 Fully renovated detached home in a vibrant west end neighbourhood! Freehold and dog friendly!! Prepare to fall in love! 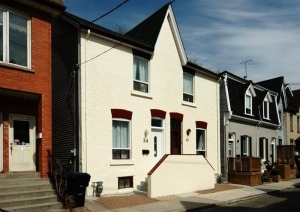 Quality full renovation including 3 storey addition with permits in 2007. 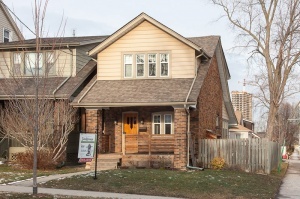 Open concept main floor with towering ceilings & oak hardwood throughout. Serene radiant in-floor heating throughout! Stylish cook's kitchen. Ideal for entertaining with open sun-drenched main floor family/dining room addition! Gorgeous full bath plus large tree top sun deck! Amazing potential in the high basement – already dug out. Classic family home on premium street in this coveted established pocket of the city known as Chaplin Estates! Updated detached 2 storey, 3 bedroom home on gorgeous 30 x 130 foot lot with private drive – parking for 3 cars! Opportunity to move right in or build/expand/customize to your taste. 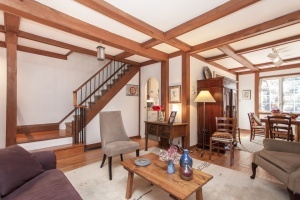 Thoughtfully renovated LEGAL duplex that has been extensively upgraded and improved! Ideal owner occupied with rental income and easily convert to a spacious single family dwelling at your leisure. Downsizers could live in plenty of space while gaining income. Or keep as an investment property in a prime location with the possibility of three units! The choice is yours! 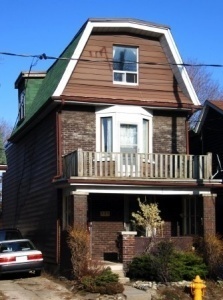 Extra wide 2.5 storey semi, set on sunny south facing lot with double car garage! A golden opportunity to get into this sought after neighbourhood. Worry free mechanicals. No knob & tube wiring. Excavated and Waterproofed basement. Good rental income. Sophisticated urban retreat with magical private leafy views out front and back on quiet Beach street. Spectacular full renovation in 2010! Designer decor. 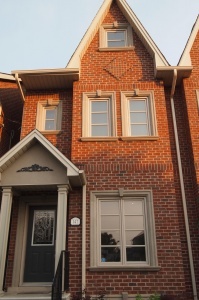 Detached 3 bedroom 3 bathroom home with stunning main floor family room and ultra chic kitchen! Wonderful updated family residence on quiet tree lined street yet short walk to subway, restaurants, shopping, parkland & schools! 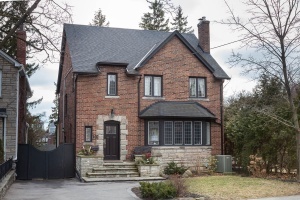 This well-built stone & brick two storey upgraded & renovated 3 bedroom home offers traditional charm and modern conveniences set in private landscaped garden. Chic renovated Victorian in trendy west end location. Rare main floor family room! Bright open concept layout with cool design throughout! Attention 1st time buyers! Special opportunity to buy into this unbelievable spot while you still can! Surprisingly spacious & rarely available bungalow in family neighbourhood! Inviting main floor with soaring ceilings oozes warmth and style! 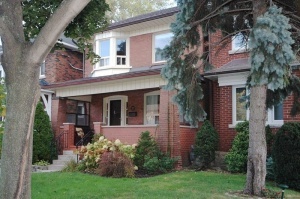 Beautifully renovated brick detached 3 bedroom home on spectacular lot with private drive. 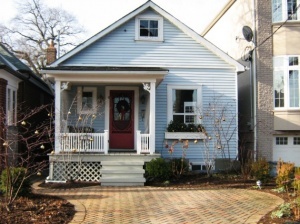 Wonderful combination of tasteful renovations plus original character and charm. Pretty curb appeal on quiet street! Attention 1st time buyers! Fabulous opportunity to move into this excellent family friendly neighbourhood! 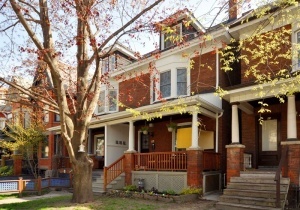 Nearby schools, Monarch Park & Coxwell Subway in Toronto's East End! 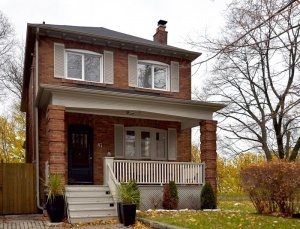 Contemporary Annex Detached Home! Gorgeous detached completely renovated home with basement in-law suite, located in a quiet setting across from Cawthra Playground & Parkette in the popular Hillcrest School district of this upper Annex Casa Loma neighbourhood! Attention first time buyers or “empty nesters” looking to downsize! Quiet spacious 1 bedroom plus den in boutique low-rise building! Great opportunity to get into this exclusive neighbourhood for a fraction of the price! Spacious sun-filled home in sought after John Wanless P.S. district near Yonge & Lawrence! 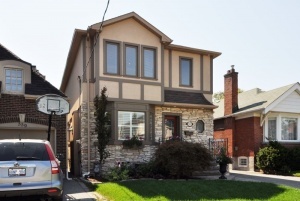 Fabulous 2 storey addition, 3 bedrooms, 3 baths, extra long yard plus private parking completes this family home! Fabulous In Prime High Park! 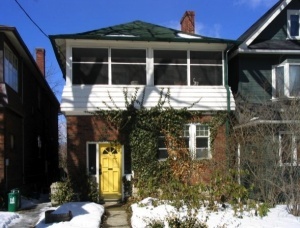 Real opportunity on a quiet pretty street in the highly desired High Park/Roncesvalles Village neighbourhood! Elegance In Exclusive Pocket South of Bloor! Original duplex with magnificent character and charm! Significant size 1600 square feet on each level! Well appointed principal rooms, identical units with 2 bedrooms plus sunroom. Separately metered with individual hydro, furnaces, CAC & hot water tanks. 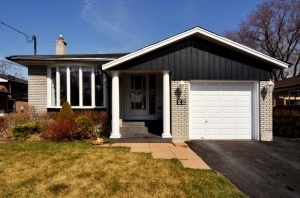 Beautifully maintained and upgraded home in convenient west end location! Perfect for a young family to put down roots. Located on a pretty tree-lined dead end/court setting! Fabulous friendly neighours!One of only 4 detached in the area. Serious WOW Factor!!! Enchanting custom designed family home that will take your breath away! It's the one you've been waiting for, hoping for and admiring. Complete top to bottom renovation with full 3 storey addition & dug down basement in 2008 - right back to the studs! Immaculate extensively renovated 2 storey Tudor style home, finished with only the finest of quality finishes and fixtures! No stone left unturned just move in and enjoy! Abbott Avenue is considered one of the prettiest tree-lined streets in this fabulous family friendly pocket of High Park, north of Bloor! Just a short stroll to Dundas West or Keele Subway stations. Upper Beach Detached Beauty! Unusually large and spacious – ideal for a growing family to put down roots! Fantastic opportunity to own this detached move-in ready sunfilled 2 storey in a quiet friendly neighbourhood. 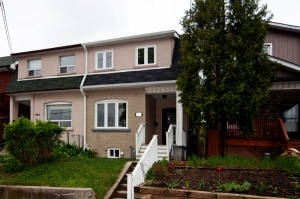 Fully renovated large detached 2.5 storey home with 4 finished levels. Move right in! Main floor open concept living & dining room. Gourmet modern kitchen overlooking the sunny rare breakfast room addition. Entertain indoors or out! French doors walk-out to the back deck and surprisingly huge yard! Multi level extension increases space for a master bedroom retreat flooded with natural light from west facing windows. 3rd floor loft adds 4th bedroom, home office and/or family/play room ! Lower level recreation room with a 3 piece bath, work shop and lots of storage! Wonderful family friendly neighbourhood to live and raise your family in! Lots of young children on the street playing and having fun. Enjoy the quiet one way mature tree lined street and proximity to transit, shops, schools & parks. 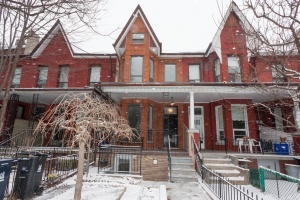 Stunning 3 Storey Victorian in Prime Roncesvalles! 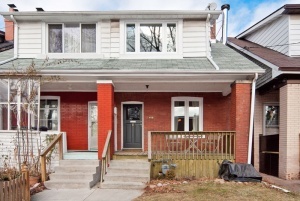 Extensively renovated family home with 4 finished levels, on quiet tree lined street! Main floor open concept living & dining room with a gourmet kitchen overlooking the rare main floor family room that leads out to the back deck and garden! 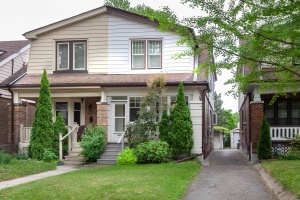 Highly desirable upgraded 2 ½ storey on pretty tree lined street! Overlooking Rennie Park! 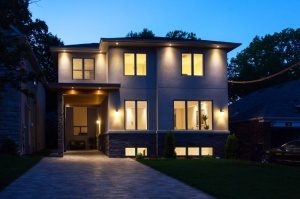 This unbelievable custom high end renovation on ravine like setting will amaze you! Rare detached raised bungalow on superior extra wide 40' lot with built-in garage plus private drive for 4 cars! 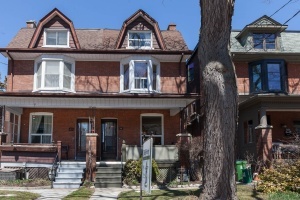 Sun-filled semi-detached solid brick home on one of the most sought after quiet winding streets in the popular High Park neighbourhood. MUCH LARGER THAN IT APPEARS! South Riverdale Oasis! Highly desirable upgraded 3 storey semi in trendy urban location – close to great shopping, schools and parks, yet quiet pretty tree-lined street. Rare master ensuite and 2nd floor laundry. Gorgeous gardens! Fabulous West End Opportunity! Attention 1st time buyers! Look no further - this wonderful detached 1 ½ storey solid brick home is just what you have been looking for! 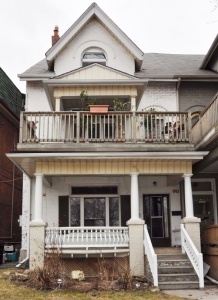 Opportunity for Large Detached in Little Italy/Ossington! Sprawling 3 storey family home in prime location – rarely available fronting onto fabulous treed park! 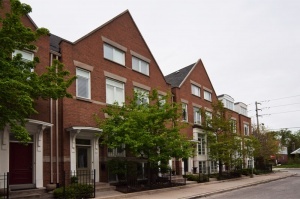 Beautiful mature tree-lined streets, wide expansive lots with homes set apart from each otherand convenient Royal York & Bloor pocket, appeals to families, couples and seniors alike. Renovated from top to bottom! Stunning & surprisingly large 1 ½ storey will take your breath away! 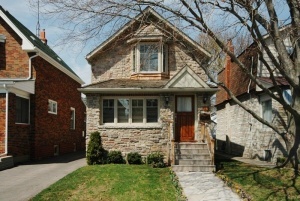 Pretty stone façade with professionally landscaped yards on gorgeous south facing lot. Stunning Swansea Renovated Home! 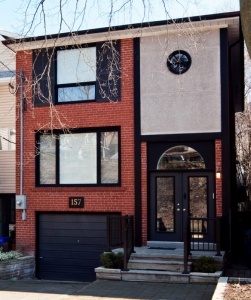 Chic contemporary detached renovated home in popular Bloor West location. The expansive open concept flow is perfect for entertaining! Additional room with main floor den and upgraded mudroom @ front. 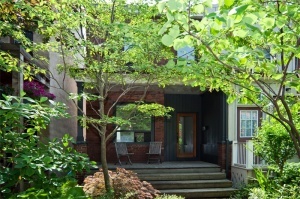 Traditional Upper Annex detached home with amazing modern day touches & pizzazz!! 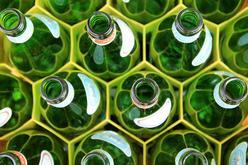 Thoughtful eco friendly upgrades & worry-free state of the art mechanical systems! This house is meant for entertaining and family life – with the WOW factor that you have been searching for. Located in desirable quiet family neighbourhood with strong community spirit. Incredible PRICE - ACT NOW! Fabulous 4 bedroom family home with lower level basement suite – great rental income to off set your mortgage (could convert to 3 units)! 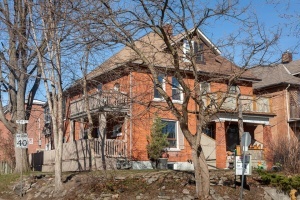 Character home with high ceilings, large principal rooms & open kitchen to dining. Many $$ mechanical upgrades and improvements. Upper Beach! Attention First timers! 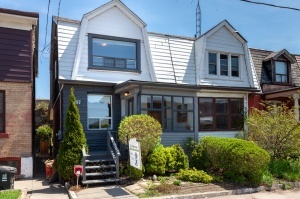 Upgraded turnkey semi in trendy urban location – close to the Beach & Leslieville. 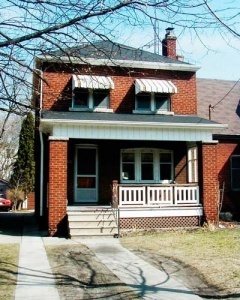 Character filled 3 bedrooms, 2 full baths, hardwood floors, many renovations throughout. Solid mechanical updates. 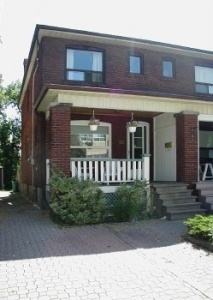 Income opportunity in fully finished basement suite with 2 separate entrances. Sun-filled south facing patio, perfect for barbequing and entertaining plus lush large yard for kids/dogs/gardening. Numerous popular parks & greenspace nearby. Walk to local shopping & restaurants! 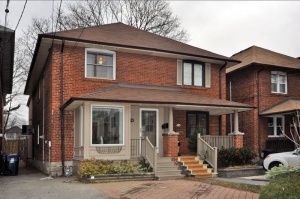 Fabulous extra wide renovated semi-detached home in sought after east end neighbourhood. 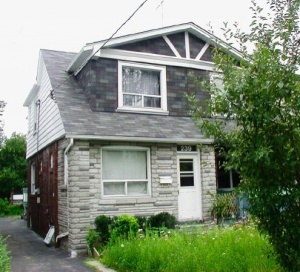 Offset your mortgage with income from excellent lower level basement apartment! Bright open concept layout floods the home with lots of natural light. Huge fully fenced backyard equals fun for entertaining, kids or dog playtime. Quiet kid friendly street. Amazing welcoming neighbours and lots of young families make this a great place to raise your family. Upper Annex! Impressive significantly upgraded & super spacious Victorian style detached full 3 storey home with rare double detached garage & modern amenities. Hillcrest School District! Ideal family home or professional couple needing that extra space to entertain/work from home. Quiet upper Annex pocket proudly known as the vibrant Tarragon Village. Tight well-knit cohesive community. Impressive custom renovation combines with traditional trim & charm. 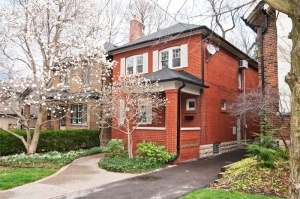 Picture perfect family home on premier Bloor West Village quiet tree lined street. Sellers never expected to move so created upscale home using top of the line finishes. 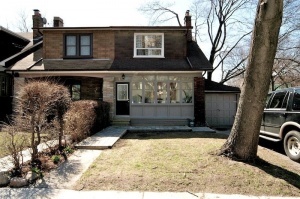 Appealing updated oversized family home in a popular North Toronto locale. 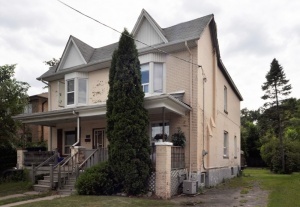 Attractive detached 2 storey charming original 4 bdrm converted to a spacious 3 bedroom family home with additional main floor office/family room plus extra large master bedroom. Rare incredible 186’ deep lot. 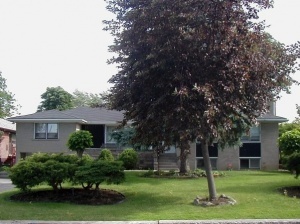 Professionally fully finished basement – separate side entrance & separate bdrm & full bath for nanny or in-law suite. Steps to conveniences of Yonge street, subway entrance, Bedford Park School & nearby shops & restaurants. Hot Junction! Amazing Character & Charm! Move right in to this wonderful family home. Spacious, bright updated 3 bedroom, 2 baths with rare main floor family and fully finished basement! 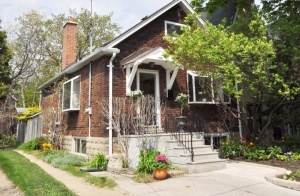 Charming detached home in one of Toronto’s most sought-after family neighbourhoods. Move right in! Outstanding value for this bright and cheerful 2 storey detached 2 bedroom, 2 full bathroom (plus finished basement for 3rd bedroom) gem. Open concept cook’s kitchen with new high end stainless appliances overlooks spacious dining / living rooms as well as the sundrenched sitting room! Entertain indoors or out! Enjoy lush 137’ south landscaped lot with extraordinary party size deck & private yard with gardeners shed/playhouse. Magnificent Victorian Home! 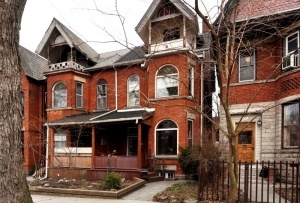 Incredible opportunity to own a large historical single family home located in the heart of the city. The entire home has been completely reno'd with an amazing continuous flow to the stunning high end materials while respecting the character of the home. Highlights include fully finished basement rental opportunity for extra income; magical 3rd floor master bedroom retreat with large walkout deck; impressive gourmet kitchen; 2nd floor laundry. Enjoy quiet leafy street within perfect proximity to Bloor, Royal York subway & The Kingsway in prestigious Thompson Orchard! 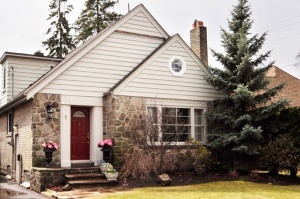 Exuding curb appeal this delightful renovated Tudor style 3 bedroom home on spacious 37.5 x 120 ft lot offers stunning original detailing with all modern conveniences set in private landscaped garden. Brilliant newer custom built detached family home on attractive street in heart of one of Toronto’s most popular neighbourhoods is perfect for today’s lifestyle. Gorgeous stone front 2 storey with spacious finished lower level features traditional yet open 3+1 bedroom, 4 bath home on private landscaped lot. Gorgeous high end custom renovations and addition create rarely available luxurious family home on quiet tree lined street in heart of one of Toronto’s most popular neighbourhoods. Move right in! 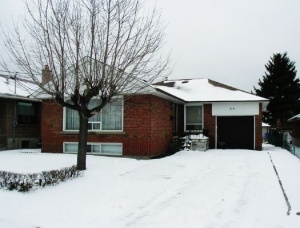 Spacious brick 3 bedroom, 2 full bath home on fabulous extra large 28.46 ft x 160 ft lot in friendly neighbourhood. Shows well with option to convert to 2 family home, to have extra rental income. Steps to shops & local restaurants with trendy Bloor West Village & The Junction on your doorstep. Easy access to subway. 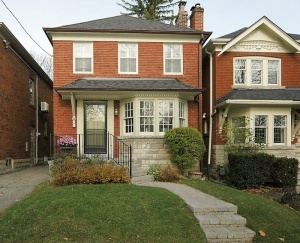 Elegant updated character home on quiet street in one of Toronto’s most prized family neighbourhoods. 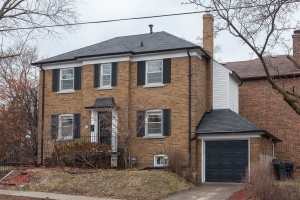 Classic 2 storey detached 3 bedroom home on spacious 30’ x 133.5’ lot in sought-after North Leaside, surrounded by parkland, with shopping on Bayview, Eglinton and Laird Drive close by. 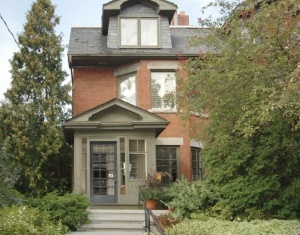 Unique Home in Bloor West Village! Cutting edge exceptional detached bungalow. 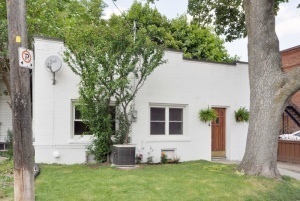 Originally an old chapel this quaint white brick home offers newly modernized living space on two floors. Perfect alternative to condo living. 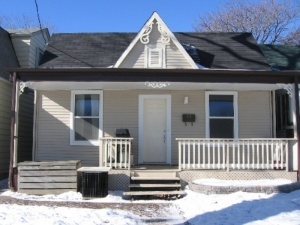 Full gut reno in 2009 and freehold means no maintenance costs! Quiet tree-lined street. Live/work zoning offers potential space for business. Live right across from Elmbrook Park in family friendly Centennial Park neighbourhood. Move right in to this upgraded 3 bedroom home set in private garden with finished lower level, fresh décor and a flowing layout. Bright semi of approx 2000 s.f. of living space. Main is highlighted by beautiful new kitchen & hardwood floors. Roncesvalles! 2 Unit or Grand Single Family! 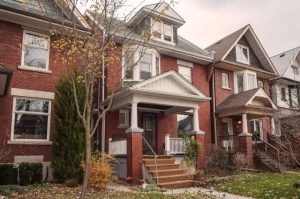 Sprawling 2 suite upgraded extra wide 25" semi-detached home with oodles of Edwardian charm. Second floor deck, spa bath, large principal rooms, private gardens & parking. Perfect opportunity for both revenue and lifestyle in one of Toronto’s most vibrant neighbourhoods. Move right in! 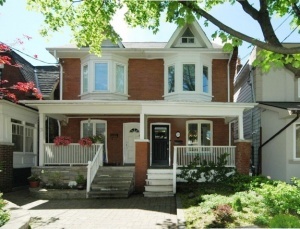 Outstanding value for this renovated, yet character filled 2 storey detached 3+ bedroom classic. Open modern kitchen with granite counters & stainless appliances overlooks dining / living and sunfilled main floor family room! 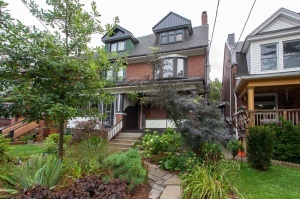 Cool home & cutting edge neighbourhood near 3 popular villages: The Junction, Roncesvalles & Bloor West, close to grocery stores, restaurants and parks. 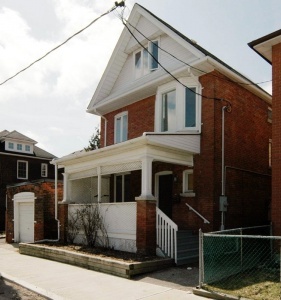 Renovated 2.5 storey historic end row house with finished basement & deck with terrace allows lots of room for entertaining and family life. 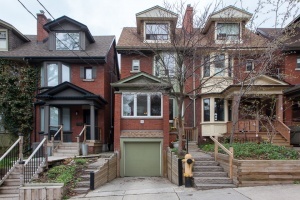 Pristine & perfect detached home on beautiful street in heart of one of Toronto’s most popular neighbourhoods displays true pride of ownership. 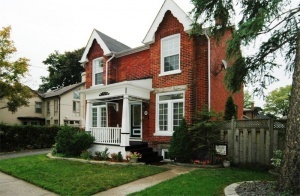 Spacious open concept 3 storey semi-detached renovated and updated character home with legal basement suite. Quiet dead-end child friendly street in Hillcrest P.S. School district. 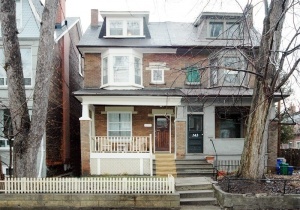 Attractive family home with revenue steps from Christie & Dupont Street in a central midtown neighbourhood. Cool house and downtown ‘hood with everything steps from the front door! Traditional charm & character retained with contemporary amenities to enhance - you'll fall in love! 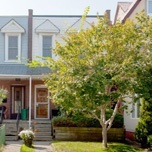 Short walk to popular Trinity Bellwoods Park and community centre. Step into local life along West Queen West where galleries, design, entertainment and dining reign. 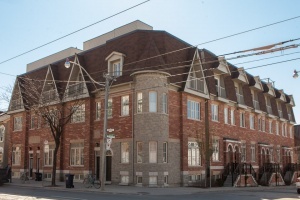 Conveniently located between Queen & King location provides easy access to streetcar downtown. Outstanding for today's buyers who want to live in the heart of the city! 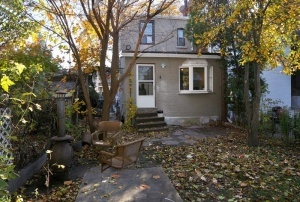 Gorgeous complete reno in lovely Bloordale Gardens. Live on an incredibly quiet, peaceful & child safe, pretty leafy street. Located in an appealing enclave of established detached brick homes close to parkland, amenities & all the city conveniences. Attractive, bright and sunny south facing property with lovely perennial gardens. First offering in 50 years of well-loved family home on spectacular 34 x 160 foot property. Rare opportunity! One of the original homes in the area, complete with horse and carriage barn, private drive and lush mature extensive gardens. 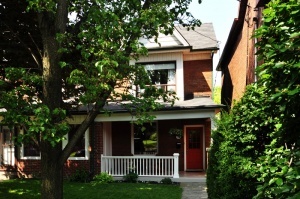 Wonderful opportunity for a Bloor West Village family to move up to their “forever” home. 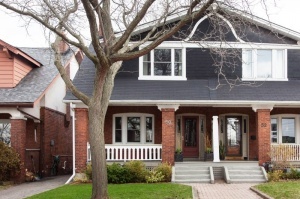 3 storey character home with gumwood and oak woodwork & trim. Detached, fully updated and ready to move in on a quiet street in family friendly West Hill neighbourhood surrounded by schools and park land. Light and bright home on extra wide 50' x 100' lot with inground pool. Excellent condition, location and price create wonderful value for the astute buyer. 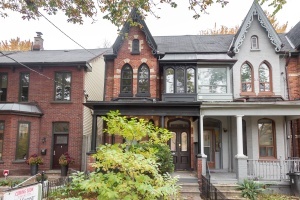 Spectacular Victorian on picturesque street in hip Dundas/Ossington hood. 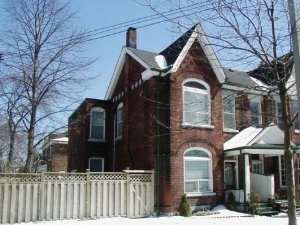 Grand Victorian 2.5 storey combines original splendour with today’s “must haves”. Super spacious w/ soaring ceilings, wood fireplace & chef’s kitchen, it is made for entertaining! Main floor powder, oversized master retreat, 5 piece modern bath. Dine outdoors in landscaped yard & park 2 cars in newer garage. 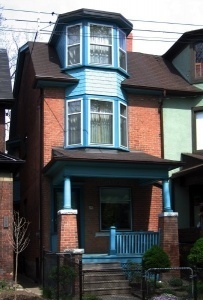 Pay down mortgage w/ terrific 1 bdrm separate suite in dug out bsmt. Hassle free upgraded mechanics. 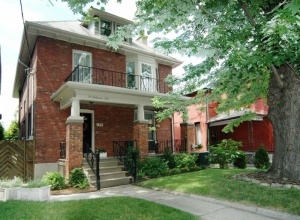 Walk to Trinity Bellwoods park, schools, shops, restaurants & TTC. Wow! Excellent combination of unspoiled 1920's charm and character, wood trim, spacious principal rooms and $$ upgraded mechanics. Possible to convert to a single family home. 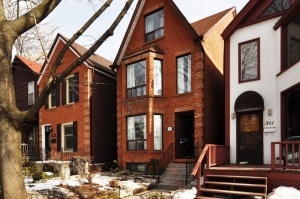 Convenient location provides easy access to streetcar, bus and subway. Walk to the shops & local restaurants of Roncesvalles Village. 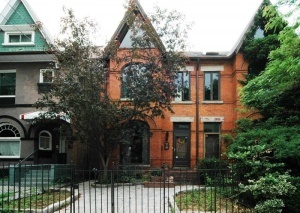 Close proximity to Bloor West Village. Location, income & space offers real value for live-in or investment buyers. 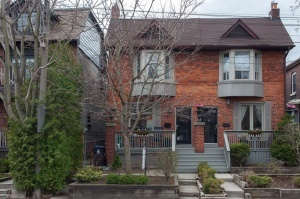 Terrific semi-detached 3 bedroom home in a leafy family neighbourhood steps from Bloor West Village & The Junction. Century old home retains original character, yet opened up and modernized for today's busy lifestyle. Lots of space for family life - huge family sized renovated kitchen, fully finished basement with separate entrance, rare main floor powder room, open concept living/dining room & 3 bathrooms! Fully fenced sunny south facing yard for outdoor entertaining, plus 2 car parking via lane. 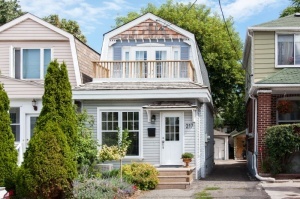 Attractive, renovated and stylish Beach home in one of Toronto's most popular neighbourhoods. Combination of classic charm and luxurious upgrades! Great home for entertaining and family life. Pretty west facing property to catch the sunset on a beautifully landscaped lot with large deck. Child friendly Beach street - walk to all the cool action on Queen Street East & the Lake. Upper Beach Detached & Done! Light filled freshly renovated home on pretty dead end family friendly street in a great neighbourhood. Everything is new! 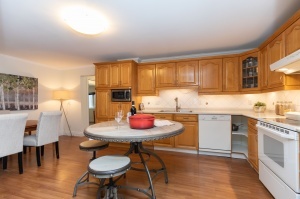 Open concept interior with chef's kitchen offers ideal layout for entertaining & family life. 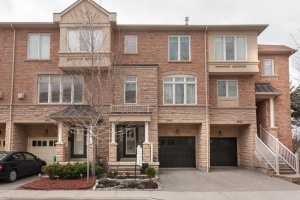 Live a rich cultural & city life combined in the desirable Briar Hill neighbourhood in this immaculate and upgraded 4 year old three bedroom freehold executive townhome. Outstanding combination of location, price & low maintenance lifestyle offers significant value for first time or investment buyers. 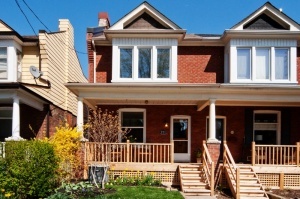 Completely done up and ready to go on a quiet street in family friendly Danforth / Upper Beach neighbourhood. Contemporary sun filled open concept interior offers approx 1500 s.f. of relaxed living space. Prestigious North Toronto/Wanless Park Locale! 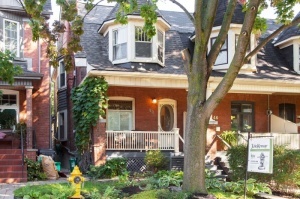 Appealing renovated family home in one of Toronto's most sought-after neighbourhoods. 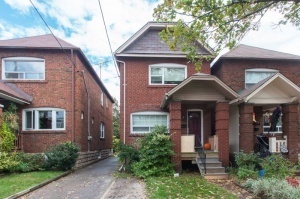 Pretty 2 storey quintessential Toronto detached 3 bedroom family home on 25' x 100' lot with parking is a turnkey opportunity. Cabbagetown Cool! 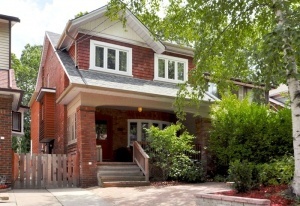 Fab 116 year old detached heritage home in hip South Cabbagetown neighbourhood has curb appeal galore! New England style exterior combines with bright open concept interior to offer 2000+ s.f. of cool architecturally designed living space. Rare offering of long time family home on huge property on prestigious street in one of Toronto's most desired neighbourhoods. 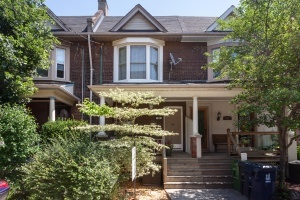 Grand 3 storey Edwardian detached 5 + bedroom home on premium 33' x 125' lot in prime Roncesvalles Village, steps from High Park. Extraordinary combination of location, price & distinctiveness offers uncommon value for the perceptive buyer. 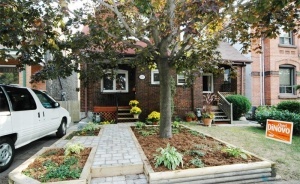 Thoughtfully renovated detached 3 bedroom home with quality craftsmanship and efficient use of space. 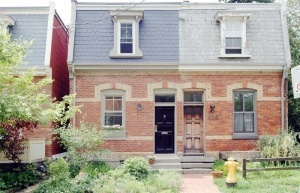 Bright 1.5 storey detached of almost 1400 s.f. of living space highlighted by stunning kitchen and bathrooms, Jatoba hardwood floors, extensive custom mill work plus unfinished lower level of 569 s.f. Live by the Lake on one of the prettiest & friendliest streets with park and Lake just steps away! Lovely High Park Location and Quality of Life! 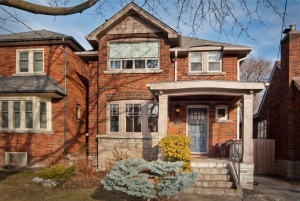 Sprawling renovated detached duplex with decks, private garden and private parking. Blend of traditional charm and modern amenities with expensive updated mechanicals. Outstanding combination of location, income and updating offers remarkable value for today’s buyers. 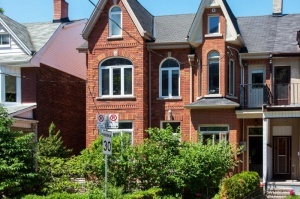 Appealing Edwardian 3 storey, 4 bedroom solid brick detached home on prime street in one of Toronto's most vibrant neighbourhoods. Upgraded and super spacious (approx 3000 s.f. incl. basement) living space retaining original charm and character. 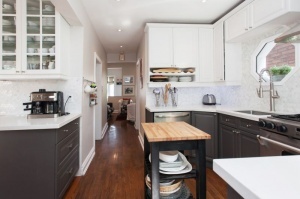 Spacious, updated & renovated in trendy Leslieville Area. Great opportunity for a growing family! 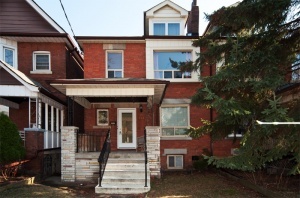 Ideal for buyers looking for a plethora of space or rental income potential in basement. As seen in The Globe & Mail Featured "Home of the Week" Friday June 12th, 2009. Prime Little Italy, The Ossington Strip and all the hip destinations steps from your front door of this stunning historically significant detached completely renovated 2.5 storey Victorian home. Majestically situated on top of the hill. Super starter home in Seaton Village! Warm & friendly 100 year old character home on popular street in sought after Seaton Village. 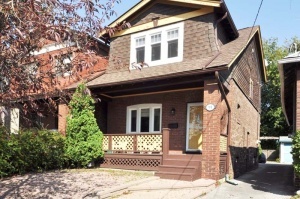 Move right into this wonderful 3 bedroom home in a cool midtown neighbourhood. Quiet, leafy child safe street with great neighbours and many children living nearby. 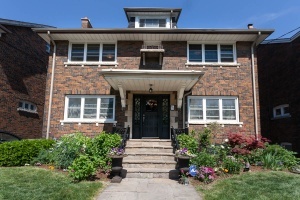 Walk to the highly regarded Palmerston Avenue Public School. 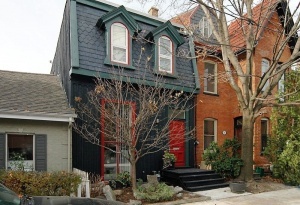 Lovely 1890 renovated & expanded Victorian "cottage" in one of Toronto's most vibrant neighbourhoods! Move in ready detached 3 bedroom home on extra wide lot in prime Roncesvalles village, steps from High Park. 20 Garden Avenue offers old house charm with a modern touch. Exceptional combination of location, price & uniqueness offers rare value for the discriminating buyer. 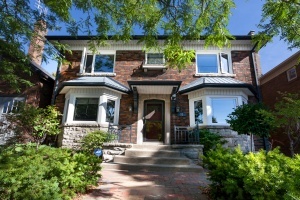 Fab home on favourite street in sought after neighbourhood. Move right into this stylishly renovated brick semi-detached 3 bedroom home steps from High Park, The Junction and Bloor West Village. Nothing to be done! 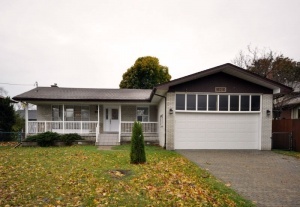 Completely $$ upgraded and reno'd open plan 2 storey with high finished basement. Outstanding value! Enjoy this terrific traditional semi-detached 3 bedroom 2 full bathroom home just steps from High Park, Roncesvalles Village & The Junction. Lane and single detached garage. Quiet shady street, one block long with no through traffic in superb family neighbourhood. Schools, parks & amenities nearby. 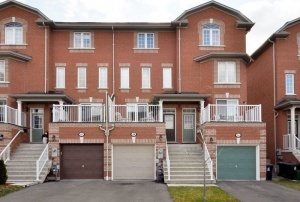 Spacious 9 year old freehold executive townhome. Family friendly area with children in neighbouring townhouses and streets. Smaller local park & schools nearby. Combination of location, price & worry-free lifestyle offers unbeatable value for first time buyers. 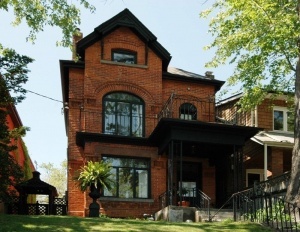 Historic South Riverdale neighbourhood mixes the best of residential & urban life. 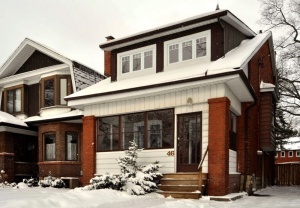 Spacious 2 ½ storey and over 2000 sf (incl basement) updated inside & outside. Permit street parking for local residents on quiet one way street. Size, location and price create brilliant value for the astute buyer. Hot West End Location & Lifestyle! High Park / Junction. Take advantage of urban life with a European ambience in this turnkey 3 suite renovated detached home with decks, private patio and parking. Great long term tenants. Combination of old world charm and modern amenities. Fabulous 7 years new quality construction with custom finishes and super spacious layout on 25" lot. 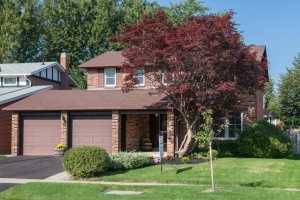 Gorgeous detached with 4 bedrooms & 4 bathrooms, incl. extra high above grade fully finished basement! Built-in garage plus private drive. Desirable Wanless Park family friendly neighbourhood. 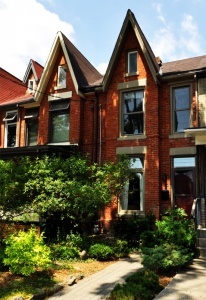 Hip South Riverdale neighbourhood offers residential peace yet steps to cool shops, parks, TTC & the city centre. Own one of the few private parking spaces on Allen Avenue! 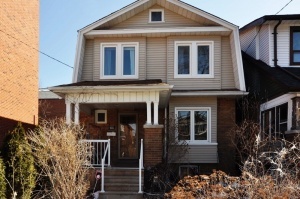 Sparkling completely renovated spacious semi with finished basement, 3 bedrooms & 3 bathrooms! Open concept & main floor powder room is ideal for entertaining! Sophisticated city living in charming historic South Riverdale neighbourhood offering residential tranquility minutes from the urban core. Gorgeous, move in ready! 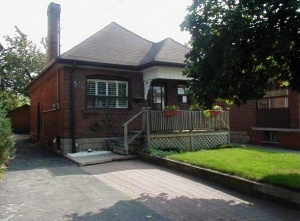 Attractive brick bungalow with an extra wide lot on a popular East York street! 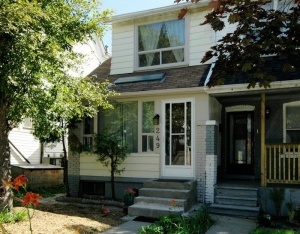 Includes 2 bedrooms, open concept living/dining room, warm hardwood floors through main floor & modern bath. Fab finished basement with lots of space for guest room plus family room & office! House is low maintenance with superb mechanics and Energuide rated 70%! Walk out to beautiful deck & fenced landscaped yard. Big private drive plus separate refurbished garage. 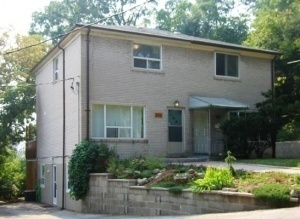 Close to TTC, DVP, schools, parks & recreation, walk to shops. Quiet street & friendly neighbours. Upgraded, open concept 3 bedroom home includes a finished basement with separate entrance and two full baths. Many expensive recent mechanical upgrades allow for peace of mind. 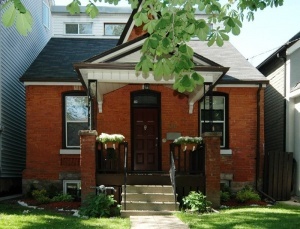 Central location, quiet yet nearby many parks, schools, community centres and convenient TTC at the top of the street! 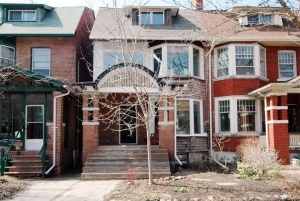 ATTENTION 1st time buyers - Great Opportunity in Cool Film District/Leslieville neighbourhood. Quaint street. Extremely bright, deceptively spacious upgraded (original 3 bedroom converted to) 2 bedroom bungalow with professionally finished basement. Rare 2 car parking! Smart open floor plan suits family life & work from home. 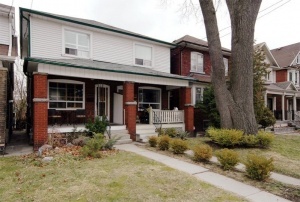 Sparkling renovated brick 3 bedroom semi at Yonge and Eglinton! Ideal for entertaining with open concept living & dining plus wood burning fireplace and upgraded kitchen! Rare parking for two cars via lane. Designer professionally landscaped oasis for outdoor parties and relaxing. Move right into this awesome home and location today! 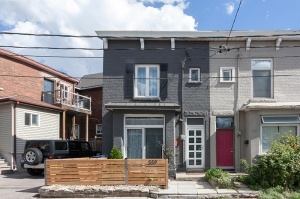 Completely gutted & renovated in Trendy Leslieville/Film District. As affordable as a condo yet includes landscaped yard and parking for 2 cars (high demand in the city!). Designer kitchen & bath, plus new mechanicals, flooring & pot lights. Amazing value for a turnkey home - Attention first time buyers! Beautifully restored, upgraded and stylish three storey Victorian - simply move right in! 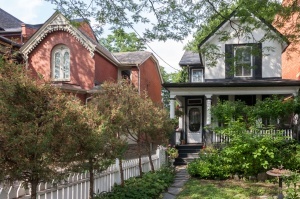 This renovated extra wide semi detached home on a quiet tree-lined street in a very desirable pocket of Parkdale is nestled among other examples of stunning turn-of-the-century architecture. Well-appointed bedrooms and a flexible floor plan to accommodate three bedrooms or a spacious second floor family room, plus exposed brick and original charm throughout blend with the finest modern amenities and two walk-outs to sunny decks. The polished home is perfect for urban couples wishing to enjoy the benefits of homeownership within the city core. 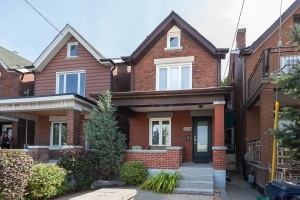 Considerable, expensive upgrades to the chef's kitchen, spa bath, flooring, and mechanical systems mean buyers can immediately put down roots and begin to enjoy this tastefully restored gem and the vibrant neighbourhood! Stunning upgraded end unit freehold townhome built only three years ago offers the warmth and space of a semi detached home! Enjoy open concept living, three bedrooms including a fabulous master retreat with huge ensuite, plus a high and dry easily finishable basement and built-in garage parking for two cars. With 1635 square feet of living space on three sunny levels, and gorgeous landscaped oversized yard, this immaculate brick home offers the best modern amenities plus the convenience of a great mid-town location. Located in Briar Hill, a diverse community welcoming an increasing number of custom designed homes, this well-built executive townhouse on a good sized lot welcomes couples and families wishing to enjoy the benefits of homeownership in a turnkey investment! 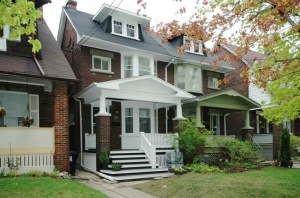 Rare opportunity to own a virtually new home in the heart of Riverdale! The home has been completely gutted & renovated this year with a huge 3 floor addition added. Boasting the highest quality construction and finishes throughout, this spacious, sunlit urban gem equally welcomes a hip couple or growing family. Move right in to the designer showpiece, which combines character with the perfect layout for entertaining and family life. With a spacious open-concept floor plan, main floor family room, sumptuous master retreat and finished basement with 8' ceilings, it is a must see! There is a separate detailed list of the extensive upgrades. 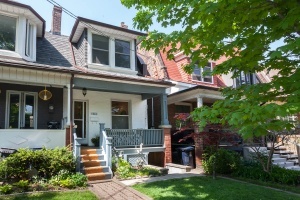 Charming, renovated family home in prime Roncesvalles Village! This fabulous extra wide semi feels like a detached! 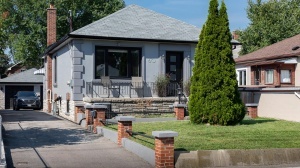 Situated on a pretty tree-lined street retaining plenty of character and was completely renovated top to bottom to include the best modern conveniences. 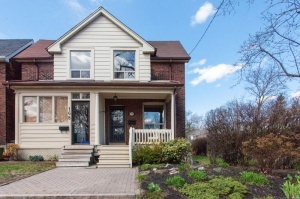 Super spacious, as it was a 4 bedroom later converted into a 3 bedroom with huge master, there is an office addition upstairs, plus a main floor breakfast room, a lush garden and professionally finished basement. This lovely home provides an ideal opportunity for couples and families to enjoy a great layout for family life and work, in a highly sought after area! 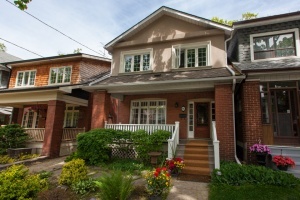 Bright & polished family starter home in the beautiful High Park neighbourhood! This semi-detached, 2 storey open concept home on a lovely landscaped lot is right across from Chelsea Parkette. The house is fully renovated with extra space in the lovely heated sunporch overlooking the street. 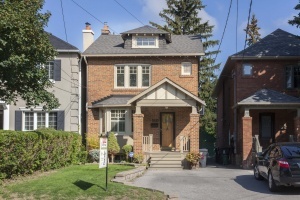 With updated mechanicals, a fully fenced yard and the option of lane parking, this is an ideal home for a couple or family looking to reside in prime High Park walking distance to the subway, and nearby excellent schools, shopping & recreation. 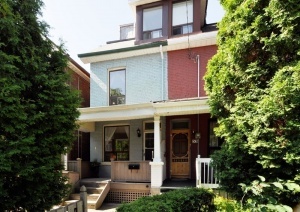 Lovely and extra spacious renovated brick semi-detached home is located on a quiet tree-lined street steps from the thriving Danforth and Monarch Park. Move right in to this character-filled home! With a separate basement suite, many recent updates, three bedrooms and three full baths plus a second floor addition, this sunlit oversized find welcomes a growing or multi-generational family. No work = no worries! A quiet Bloor West street, and complete gut renovation that was taken right back to the studs 2 years ago. This fully detached home with elegant curb appeal is located on a family friendly tree lined street just steps from Lessard Park. 58 Harshaw sparkles with spacious open concept principal rooms, 3 bathrooms including an incredible spa bath with heated floors, a second floor deck and fully finished basement. With a double garage, fully landscaped lot and costly extensive cosmetic and mechanical upgrades, this home represents an extraordinary opportunity to own a stunning home in this preferred neighbourhood! 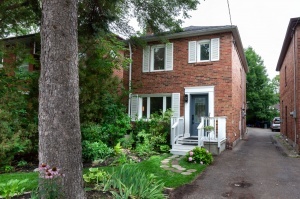 Enjoy this extra wide semi-detached brick home, on a quiet tree-lined street in the high demand family friendly mid-town neighbourhood of Davisville Village! This immaculate two-storey, three bedroom home boasts good size principal rooms, a professionally finished basement, and updated mechanicals for a turnkey lifestyle. Location location - walk to the fab Bayview shops, the favourite Maurice Cody School, and the subway. 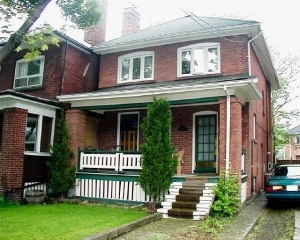 Great neighbours, and parking complete the appeal of this charming home! This gorgeous historically designated Victorian blends restored original charm with the latest in quality modern upgrades. This fully renovated show piece is an extra-wide brick semi-detached home on a bright and cheerful corner lot in the sought-after Yonge and Eglinton area of Davisville Village. It's exactly what you've been waiting for! Combining all the attributes make this a perfect home for any growing family. There is a gorgeous renovated kitchen that overlooks the brick family room addition, open concept principal rooms with wood burning fireplace, a separate basement apartment/nanny suite plus finished recreation room and a rare private drive with parking for 3. An absolute must see!! 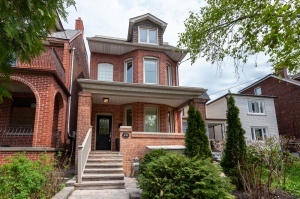 This beautifully renovated, elegant, all brick High Park home is filled with original, restored charm and high quality modern upgrades! This extra wide semi-detached home on safe, child-friendly Medland Crescent, is set well back from the street on a lovely landscaped lot and includes four bedrooms, two full renovated baths, professionally finished basement, and convenient street parking. 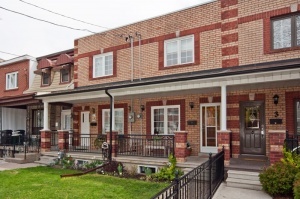 The very special home is just steps to the subway, parks and shopping. 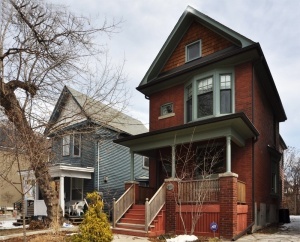 Impressive in size, this extra wide charming 2 unit High Park all brick home retains original 1906 details yet is updated and well-maintained. What an opportunity for live/work investment property. 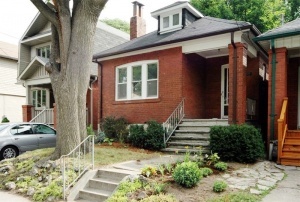 Easily rent out or convert back to single family this solid, rambling detached all-brick home in Bloor West Village! 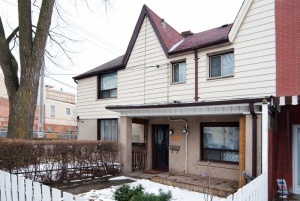 The spacious 2 1/2-storey home is located in a specially zoned residential/commercial strip. 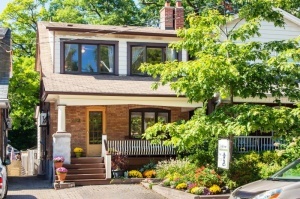 It is surrounded by others similar as well as single family homes and quaint family owned businesses, close to the popular Bloor West Village and Junction shopping districts plus the Humber Valley recreational paths. Bright and character-filled, the home is currently divided into two updated self contained units, plus a finished basement with separate entrance with potential for a nanny type suite. 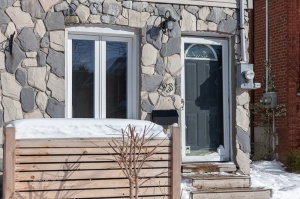 With updated mechanicals and the convenient location in a bustling area, 587 Annette is an ideal move for a family, retail business or professional practice into this friendly high demand neighbourhood! Ask for more details on the unique zoning of the property. Fantastic renovated 2-storey brick semi-detached on a quiet, winding street in the popular High Park/Bloor West Village neighbourhood! Enjoy classic warmth & restored original character throughout, plus a professionally finished basement with ample storage, parking, 3 bedrooms and an eat-in kitchen, only two blocks from beautiful High Park and the subway station at Bloor & Keele - perfect for couples and young families! Completely upgraded and beautifully renovated all brick detached home in the highly sought-after High Park neighbourhood! This solid 2 1/2-storey sunlit home is deceivingly spacious and appeals with finished basement, numerous mechanical updates, being situated on a landscaped lot within walking distance to the Park and subway with parking for one or two cars. All this at an affordable price! 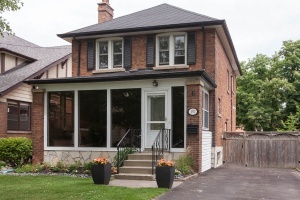 Striking trendy renovation in popular Swansea neighbourhood as seen on HGTV! This open concept, Cape Cod style detached brick home has been significantly upgraded in every way - and is calling for young couples and/or empty nesters wishing to live in a vibrant west Toronto neighbourhood steps from waterfront trails, shopping and transportation. 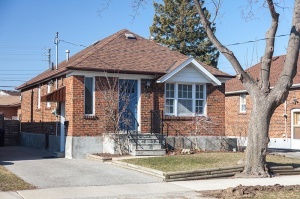 Exceptionally renovated detached brick quality family home in the posh Baby Point neighbourhood! 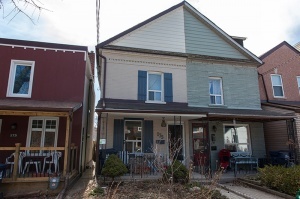 This lovely 2-storey home is located on a quiet, dead end street. Originally a four-bedroom home which has been converted to three extra-spacious bedrooms, the main floor is especially roomy and features a high demand breakfast room addition, making the house an ideal size for families or work-at-home buyers. With wood charm galore, extensive upgrades that enhance the home's natural beauty, as well as recent mechanical updates, 37 Brumell represents a real opportunity to own a stunning home in this preferred neighbourhood! 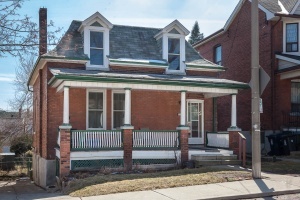 Lovely renovated Victorian family home in a vibrant family-friendly downtown neighbourhood! This end of row sunny charmer is just north of College Street and Little Italy, offering easy access to premier shopping districts, schools, greenspace and community activities. With soaring 10' ceilings, open concept living area and major mechanical updates, this warm inviting home is ideal for a couple or family wishing to embrace the vitality and convenience of downtown living. 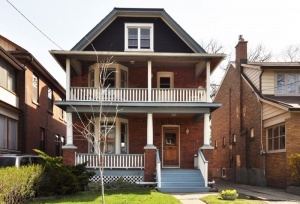 This beautifully restored 2-storey detached Victorian home offers an amazing opportunity. 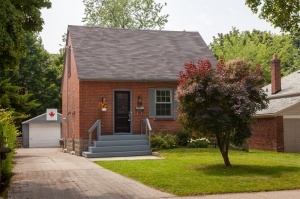 The bright, renovated 3 bedroom home on an extra-wide lot is ideal for young couples or families searching for a turnkey home where their children can grow up on a quiet tree-lined street just steps to parks, recreation trails, culturally diverse schools, Go Train, TTC and shopping. The home includes a detached garage plus parking for 4 cars, new party-sized deck and plenty of storage. Stunning rebuilt home combines modern amenities with a warmth that is rarely found in new build homes and is much larger than it appears - 3410 square feet including the dug out, professionally finished 950 square foot basement. Located in prime Lawrence Manor, this luxury custom designed home on an extra wide lot is situated on a tree-lined street in the high demand Bathurst/Lawrence area. Enjoy master craftsmanship and the impeccable quality and style of this unique renovation and 1800 square foot post and beam addition - no expense has been spared in the spectacular timber frame construction, top of line materials, and mechanical systems. With four bedrooms, a dug out finished basement, private drive and mature landscaped gardens, this bright showpiece home presents a rare opportunity to own what feels like a country estate, in a prestigious Toronto neighbourhood! Amazing opportunity for families to enjoy this lovingly renovated, beautifully decorated semi-detached brick home in Upper Bloor West Village! 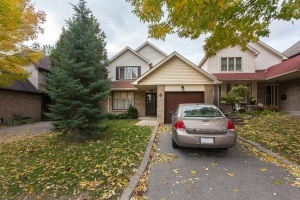 The spacious 2-storey home is located on a pretty tree lined street south of Dundas, within walking distance of Humber Valley recreational paths and the popular Bloor West Village and Junction shopping districts. This is a wonderful move into your first home in a family-friendly neighbourhood! Completely gutted & renovated 2-storey detached home in the heart of Toronto's desirable central – west core! 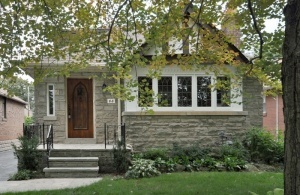 This stunning home situated on an extra wide lot is conveniently located on a tree-lined street just west of Dufferin. No expense has been spared in the superior workmanship of the renovation. With a finished basement, detached garage, large private party deck and professionally landscaped gardens, this beautiful home presents a rare opportunity to own a turnkey, spacious home minutes from the downtown core! 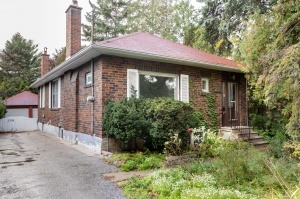 Unspoiled detached brick bungalow in the heart of Swansea is a fabulous opportunity for singles, couples and young families wishing to live within a block of vibrant Bloor West Village! Excellent value for a well maintained home with beautiful original charm. 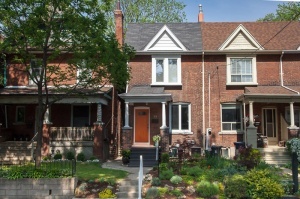 Lovely, recently renovated open concept historical home in prime Cabbagetown features award-nominated perennial gardens. Excellent value in a desirable location makes this trendy turnkey home an ideal space for a professional single/couple or empty nesters wishing to live close to the downtown core with all the benefits of a leafy neighbourhood and green space nearby. 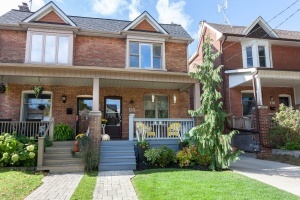 Bright, clean and cozy updated family home in the vibrant Corso Italia neighbourhood! This semi-detached charmer is right around the corner from Earlscourt Park on a generous lot offering plenty of sunlight. The home has been well loved by the same family for many years and extremely well kept. With hardwood floors, 3 full bedrooms, mostly updated mechanicals and a detached garage, this is an ideal home for a couple or family looking to reside in a hospitable neighbourhood close to excellent shopping, dining and recreation. Sparkling, airy and bright detached brick home on a quiet street in the desirable upper Beach neighbourhood. 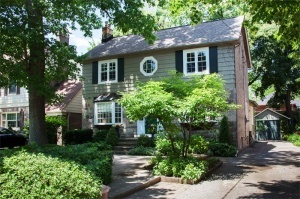 This well updated family home combines original charm, modern amenities and lush perennial gardens. The separate, renovated basement apartment/in-law suite makes 84 Corley the perfect opportunity for professional couples and families wishing to live in this extraordinary neighbourhood. Attention professionals! 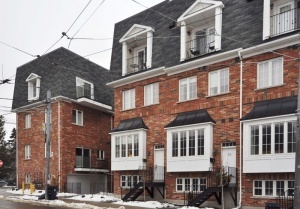 Gorgeous newer end unit freehold townhouse presents an ideal turnkey home or condo alternative, tucked away on a quiet street in the heart of downtown. Move right into this lovely two bedroom, two bath home with endless upgrades, finished basement, built-in garage, and a low maintenance yard! 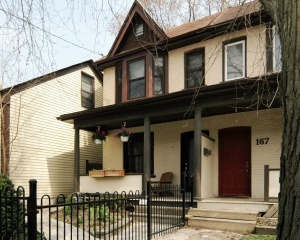 Amazing opportunity for families – updated semi-detached home in Upper Bloor West Village! This open concept, 2-storey home is located on a pretty tree lined street just north of Annette. With a versatile main floor open plan, the principal rooms are spacious, and the house is an ideal size for families or work-at-home buyers. The deep, landscaped rear yard and party deck means space for entertaining or playtime for children. There is parking for two cars via the garage and lane. 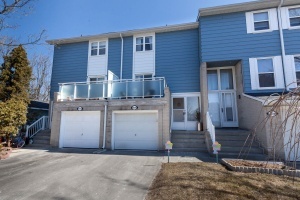 This is an outstanding chance to move into your first home in this family neighbourhood! Pretty as a picture with great curb appeal, this well maintained home has been lovingly cared for by the same family for many year. 233 Benson is in a family friendly centrally located neighbourhood and represents an real opportunity for young couples & families! This solid two-storey home features a traditional floor plan, three bedrooms, mature gardens and plenty of storage space and a good set up for anyone wishing to own a home with good bones in an excellent school district close to all the amenities. 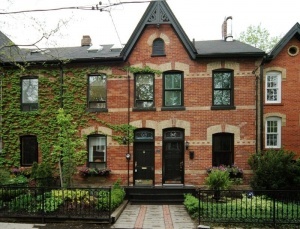 Stunning Victorian restoration in prime Roncesvalles Village! 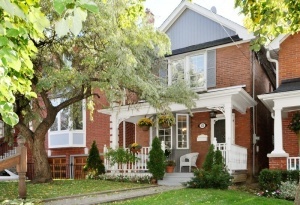 This renovated 2 1/2 storey detached home on a pretty tree-lined street combines historic details with modern elegance. With garage and parking via lane, thoughtful upgrades and walkouts from two levels, this impressive home provides an ideal opportunity for couples and families to live in a highly sought after neighbourhood! Prime Roncesvalles Village! 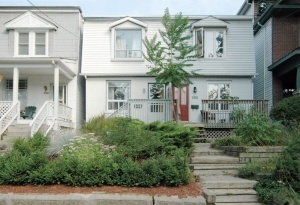 Larger than it appears 2 storey, 2-unit fully detached home one block from Roncy shopping and schools. Home is ideal for a growing family, as it converts easily to a four bedroom single family home, or excellent live-in and rent potential. With an inground pool, sauna and hot tub and a fully finished basement, this solid well maintained home offers tremendous value in a highly desirable neighbourhood! 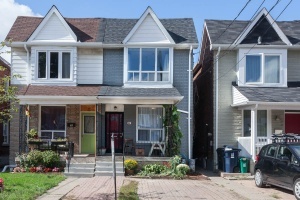 This is a rare opportunity to own an oversized and well upgraded 3 storey brick semi-detached home with basement income on a friendly street in the Christie Pits neighbourhood. Trendy Roncesvalles Village! 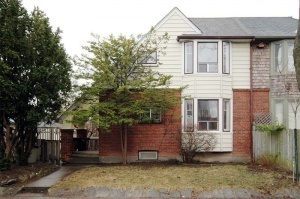 Spacious 2 1⁄2 storey, 2-unit semi detached home on a tree-lined street easily converts to single family - ideal for a growing family or excellent live-in and rent potential with good income. 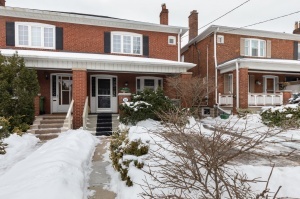 With hardwood floors throughout, many quality updates, original charm intact and a fully finished basement, this spacious well maintained home offers tremendous value in a highly sought after neighbourhood! 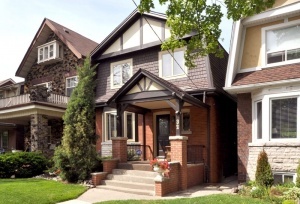 Traditional, spacious family home in the heart of Bloor West Village! 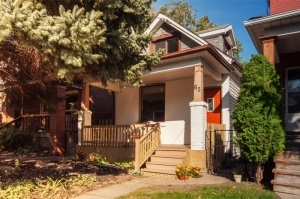 This 2.5 storey detached home on a tree-lined street has been lovingly cared for by the same owner for decades and is ready for a new family looking to expand their space. 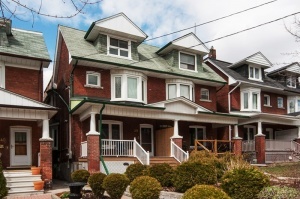 Gorgeous, fully renovated three storey home in trendy Little Italy! 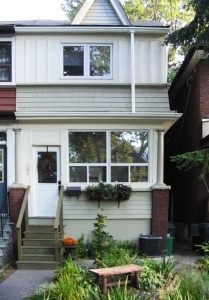 This semi-detached home is conveniently located on a quiet, tree-lined street just south of Harbord. 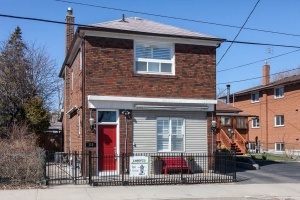 Attention investors: Completely renovated, three-unit income home on a quiet tree-lined street in trendy central Leslieville is perfect to live in or rent out - it's already tenanted! This detached home features updated mechanicals, a spacious 2-car garage and a huge, fully fenced backyard. 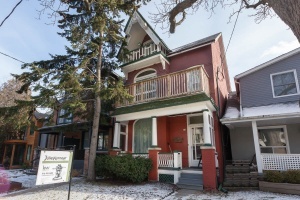 Enjoy income flow while the property appreciates or move in to this historic Leslieville neighbourhood. 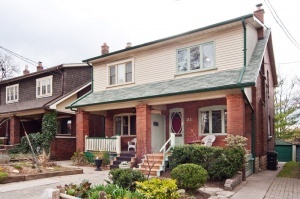 Lovely, renovated family home in the vibrant Corso Italia neighbourhood! This semi-detached charmer is right around the corner from Earlscourt Park on an especially generous lot offering plenty of sunlight. With classic original trim, numerous modern upgrades and a finished basement, this is an ideal home for a couple or family looking to reside in a hospitable neighbourhood close to excellent shopping, dining and recreation. Striking, completely updated semi in a popular, Bloor West - High Park neighbourhood, this immaculate, 2-storey home is located on a family friendly, tree-lined street where pride of ownership is evident. There is an exceptional two-storey addition and extraordinary lot and gardens to add to the home's special appeal. 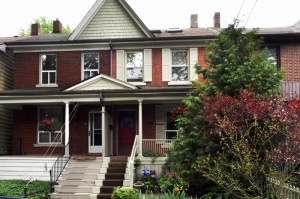 Minutes from Bloor West Village, High Park and the Keele subway station. 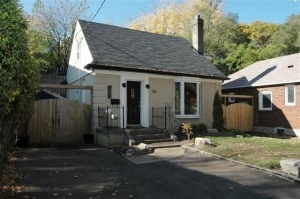 Cozy, renovated, semi in prime Riverdale! 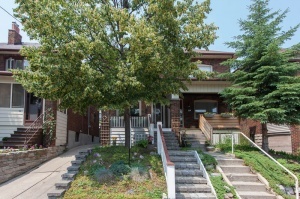 This sunny, 2-storey home is located on a quiet, one way tree-lined street in Toronto's hottest east-end community. Bright and tranquil with fresh, clean colours, this home includes three bedrooms, open concept living/dining room, a rare main floor powder room, plus parking. Located on a family-friendly street, this home is perfectly suited for couples or young families. What an excellent opportunity to own a home in move-in condition in the community of your dreams! 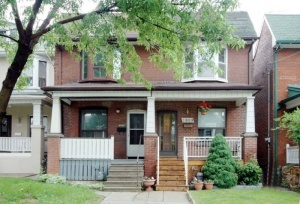 Wonderful and spacious renovated family home in prime High Park! This semi-detached, 2 1/2-storey open concept home is 1/2 a block from the Park on a generous corner lot. 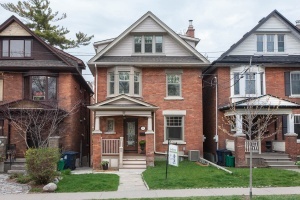 With a rare and convenient main floor powder room, numerous upgrades and a fully finished basement, this is an ideal home for a family looking to reside in prime High Park close to excellent schools, shopping, recreation in Roncesvalles Village. 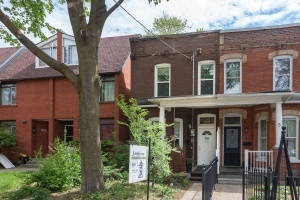 Stunning renovated three unit income property is located on a beautiful tree-lined street in the popular Dufferin Grove neighbourhood, and is just steps from Bloor. The home is detached and a full 3-storeys and is extra bright with numerous windows on every level. Classic side centre hall in prime Bloor West Village! 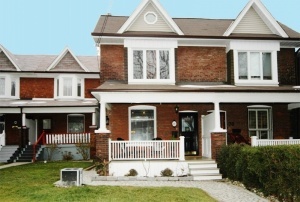 This bright detached, 2-storey home is located on a premier tree lined street south of Annette. Many of the principal rooms are extra spacious, and the house is an ideal size for families or work-at-home buyers. 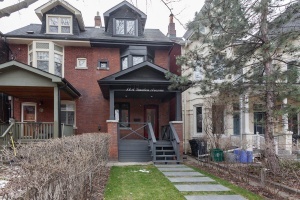 Terrific family home in the heart of Bloor West Village! This 2 storey detached home on a tree-lined street is sunny, spacious and ready for buyers looking to expand their space. Sitting on a large lot with an impressive back yard and deck, owners have maximized enjoyment of the space in this high demand neighbourhood. 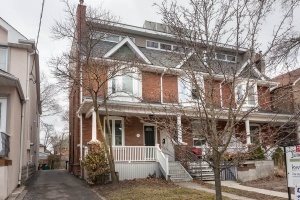 This is a rare opportunity to own an elegant oversized and well upgraded 3 storey semi-detached home on a quiet, friendly street in the Christie Pits neighbourhood. Pride of ownership is evident on this street where homes are well-maintained and neighbours are welcoming. This lovely home has been carefully and beautifully renovated and updated to include some of the most luxurious of modern conveniences. 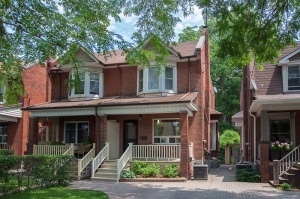 Fabulous renovated semi-detached 2.5 storey home on an exceptional, tree-lined street in prime Riverdale! 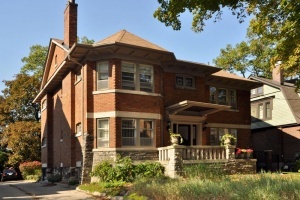 This cheerful, elegant home exemplifies the enduring allure of Riverdale and is ideal for couples and young families. 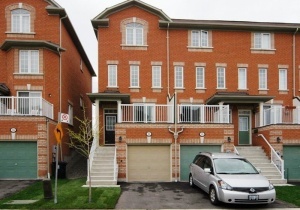 Sparkling and elegant 2 storey end unit freehold townhouse! 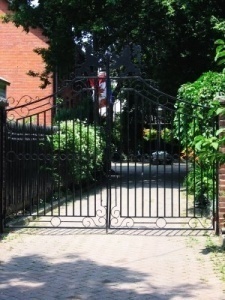 Located in a unique and quiet area of the Junction close to High Park. Just four years old! Why rent when you can own? 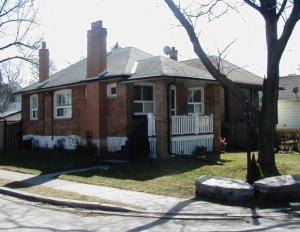 Solid, well maintained & updated bungalow on a quiet tree lined street in upper Bloor West Village! Why pay rent? Amazing opportunity to own a fully detached house in a convenient location just north of Annette. 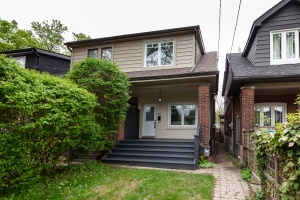 Solid, well maintained & mechanically upgraded 2 storey detached home on a quiet tree lined street in upper Bloor West Village! Amazing opportunity to own a fully detached house in a convenient location just north of Annette. 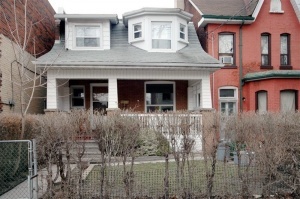 Chic semi-detached executive style home on a quiet street in trendy Leslieville. This outstanding three-storey home, (10 years young!) with a lovely interior is ideal for urban professionals and young families. 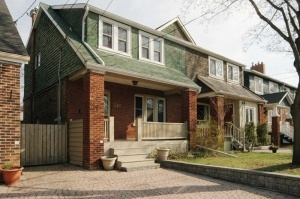 Lovely spacious & sunny home on a quiet family-friendly street in the heart of Old Riverdale. One of the East end's best kept secrets - Old Riverdale is a safe and quiet enclave of homes built 25 years ago. Absolutely beautiful freshly renovated semi-detached home in prime Chaplin Estates neighbourhood! With extra spacious rooms and storage, 3 bathrooms, a formal dining room, an additional office on the second floor and a newly finished basement, this turnkey brick home can accommodate the needs of any family. 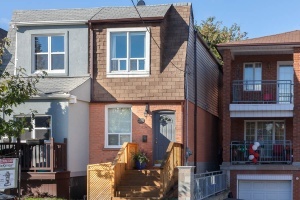 Sparkling, beautifully renovated 2-storey brick semi has it all - three bedrooms, two full baths, a fully finished basement suite with a walk-out to a gorgeous private treed lot, and parking for 4 cars. Humber Valley, close to Bloor West Village. 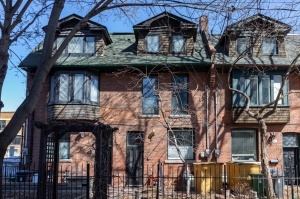 Charming 2-storey heritage property in a delightful mews setting, on a remarkably private, quaint tree-lined street in downtown Toronto. With easy access to the waterfront, business & entertainment districts, this is a great home for young professionals. 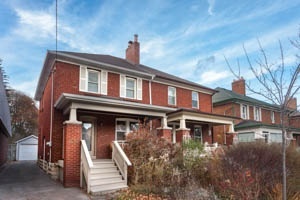 Bright, fully updated brick semi-detached built in the 1900's on a quiet, winding street in the popular High Park/Bloor West Village neighbourhood. Enjoy a fully finished basement apartment, private parking, 3 bedrooms and an eat-in kitchen, only two blocks from beautiful High Park and the subway station at Bloor & Keele - perfect for couples! Spacious, completely unspoiled and original 3-storey semi-detached home on a very special tree-lined street in prime Annex! With four bedrooms, two baths, a family-sized kitchen, fine architectural details and a fabulous deep lot, this well-maintained home is a gem. Perfect for professional couples and growing families wanting to personalize for themselves. Terrific renovated semi-detached home in the desirable High Park/ Bloor West Village neighbourhood. Affordable and spacious on a private south lot includes a fully finished basement, 3 bedrooms and two full baths, this sparkling renovated home is ideal for couples, families and first time buyers. Solid, well maintained 2 1/2-storey detached brick home with parking, in trendy east end neighbourhood. Unlimited potential move in and convert back to single family or rent out two spacious units for excellent income! Excellent value! 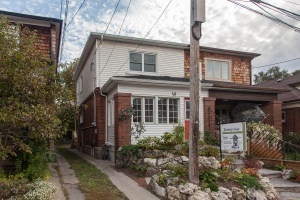 This home is located just north of Gerrard in the pleasant Leslieville neighbourhood and its many wonderful quaint shops, cozy houses, and tree-lined streets. Sparkling, airy & bright updated semi-detached home on a quiet street in the desirable Beaches neighbourhood. This spectacular updated loft-like space with lush perennial gardens is ideal for professional singles & couples. Spacious, solid four-bedroom detached home on a quiet street! With shining hardwood floors, a large updated eat-in kitchen and above-ground family room set on a treed lot, this home is perfect for a growing family. Half a block from the majestic beauty of the Humber River Valley. Fabulous four-bedroom detached Victorian home is a sunfilled oasis in the city! 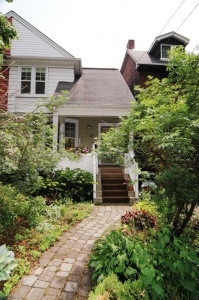 Ideal location on Macdonell, one of the prettiest streets in Roncesvalles Village. With stunning renovations and an exceptional treed garden, this lovely home is perfect for the urban family. 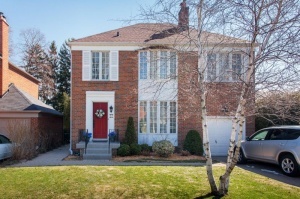 Solid brick detached three-storey home in the sought-after Allenby school district. The home is located on quiet, tree-lined Briar Hill Avenue between Duplex and Rosewell. 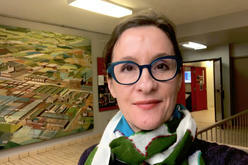 Kids attend Allenby and Glenview - both of which offer Extended and Immersion French programs. 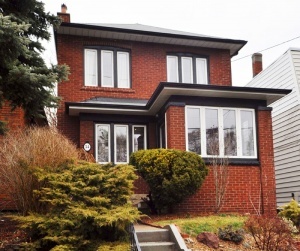 Solid detached originally built duplex on a quiet residential street in prime Moore Park! Two large units on a sizable lot represent a rare opportunity for either investors with income, or renovate & convert to a beautiful single family home. 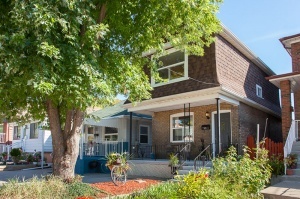 Renovated in Prime Riverdale! Lovely spacious open concept home with easily finished 3rd floor loft, parking, walk-outs to landscaped yard on 2 levels, hardwood floors thru out. Elegant city living at its best. 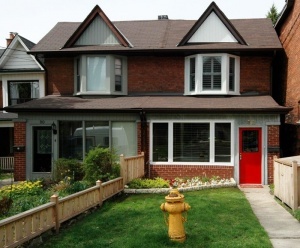 Close to TTC, parks, shops & restaurants. Hurry! 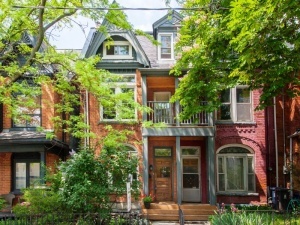 This stunning brownstone facing Grange Park combines the best of downtown living with the historic grace of one of Toronto's oldest neighbourhoods. Special opportunity to own an extra-bright, newly renovated three-bedroom plus loft end unit townhome just steps to restaurants, the AGO, park, transit and the business and entertainment districts. 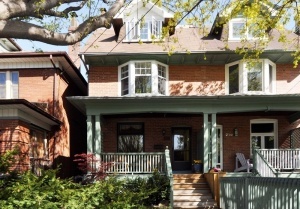 A bright and charming semi detached house in High Park. A great property with convenient location and child friendly neighborhood. Charming and renovated 2-storey brick semi-detached home in the trendy Davisville Village neighbourhood. A prestigious Cricket Club English manor. Located in a family oriented community with close proximity to the public transport and excellent schools. 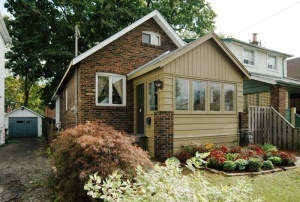 Charming & bright 2-bedroom detached bungalow in a vibrant west end neighbourhood. 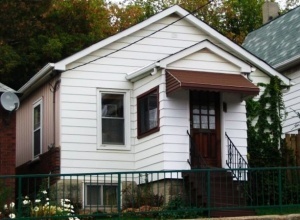 Affordable starter home with a fully fenced yard, finished basement, private parking & garage, and numerous upgrades. Shows great pride of ownership - it's ready to move right in! 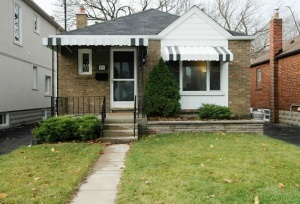 Solid, well-maintained bungalow features a large, private backyard and finished basement – amazing value in Toronto. Breezy ranch-style detached bungalow is like owning a piece of Florida in Toronto! With stunning open-concept living/dining, four bedrooms and a modern family room set on a spectacular 70-foot lot, this is an ideal oasis for any couple or family. 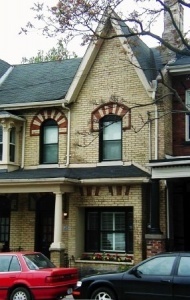 Bright and solid 3-storey brick semi close to TTC, park and downtown is an excellent investment or income property. 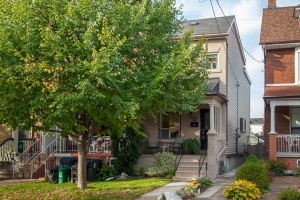 This large, cheery home is currently divided into 3 excellent units and would make a terrific owner occupied 2nd & 3rd storey suite with income from main & basement tenants to help offset the mortgage! Picture-perfect 3 bedroom detached brick bungalow with rare double garage and private double drive, on an oversized lot. Extra bright and spacious, this well maintained home is ideal for a young couple or family. Renovated & amazingly spacious 2200 square foot 2 storey brick home on a quiet street, in the serene Weston Village neighbourhood. Featuring 5 bedrooms, an extra-large family room and landscaped front & back yards on an oversized lot, this is a truly appealing family home. 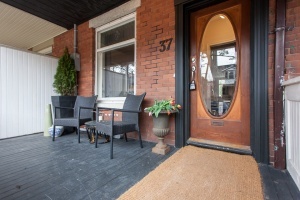 Polished 3-bedroom brick semi with a rare private drive in popular Allenby. 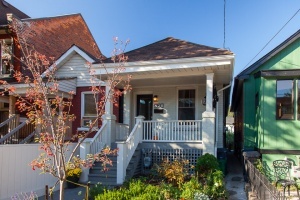 This charming home has retained its original wood trim and hardwood floors, and features a renovated bathroom and kitchen, stunning back yard & deck. Fabulous, extensively renovated brick bungalow with private drive in the well-established Long Branch neighbourhood. Move right into this delightful 2 bedroom, 2 bath turnkey residence, walking distance to the lake, TTC, parks & shops. With a fully finished basement and lovely south-facing yard, this cozy home offers a breath of fresh air to any single or couple. 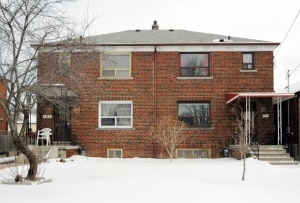 Bright well maintained 2-storey brick semi with parking in a great family neighbourhood! This cheery home is filled with gorgeous, original exposed wood charm & hardwood floors throughout. With three good-sized bedrooms and an eat-in kitchen, this solid cared-for home is ideal for a young family or couple investing in their first home. 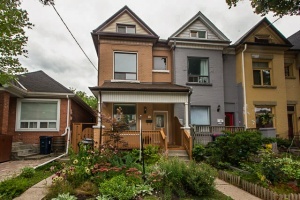 Attractive, bright 2-storey semi in super-friendly East York neighbourhood. Interior is delightfully spacious with 3 bedrooms, hardwood floors, an extra den on the main floor, deep closets, and a finished basement with a 3 piece bathroom, exiting onto the large backyard deck. 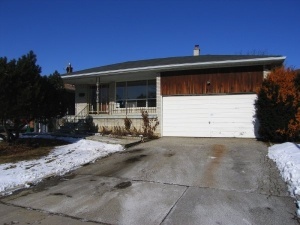 Updated & bright detached bungalow in Mississauga. 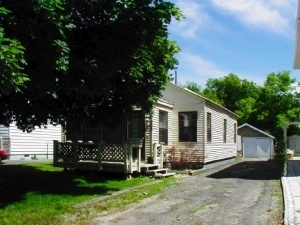 Affordable starter home with 3 bedrooms, fenced yard, and numerous upgrades. It's ready to move right in. 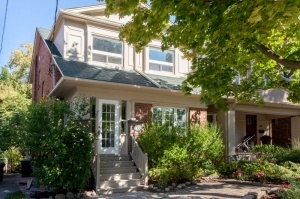 Medland Crescent is a quiet and winding street in a convenient High Park location. Just a couple of blocks to the Park! Easy access to the Gardiner and the 401-15 minutes downtown or to the Airport. A 5 minute walk to Keele subway station. 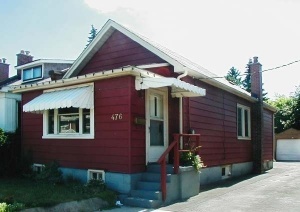 Affordable bungalow in a popular, and vibrant location. Rare opportunity for singles or couples to own their own home, that can carry cheaper than rent! 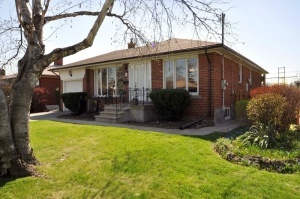 Terrific 3 bedroom brick bungalow in The Queensway area. House features a fully finished nanny suite/apartment lower level and private drive. Spacious and well maintained. 2 story detached. and upper floor rented for $1000/month. Ideal to convert back into a spacious single family home again. Great for entertaining and family lifestyle. Super Village Semi! Great street - just steps to schools & shops! Ten minute walk to Runnymede Subway. 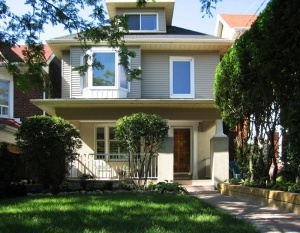 Fabulous Highpark semi-detached house. Just two blocks to park, to TTC and to Bloor Street. 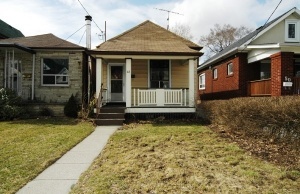 Charming renovated freestanding home with open brick fireplace and huge backyard. throughout the house. Beveled French Doors. your listings are useless. It would have been more useful if you had in indicated that they were a listing a sales. hopefully coming up October or November . If you have something please give me a call at 416-986-6258. I would like one of the mansions on Beaconsfield Ave. as an investment property, the area is my new favorite. How can you get one of them to become available as I never see any of them become available. I am ready to go door to door making offers. I have about 1.4 max to spend don’t know if that will cover the best ones though. 32 is my favorite. Please send me your listings for the u of t area. looking for anything from a condo with at least 2 bedrooms to a home in the area for use by our U of T students and their friends. 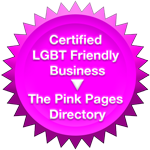 Hi Valerie, I will set you up to receive our listings no problem! Do I have to scroll through “solds”..do you not have any listings? Hi Judith, The listings that are available are always on the first page of our website. We just had 2 condos listed. They have been sold just this past week. We have new listings coming out at the end of this week. Thanks for searching our website! 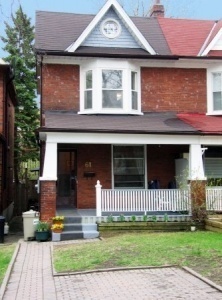 I had a house on Austin ave. in Leslieville for 15 years. Sold and moved to Calgary for personal reasons 4 years ago. Miss my house & neighborhood like crazy….want to live back in my “hood” around Hideaway Park. Keep me posted on the listings. Have 3 kids now..need 3 brdms plus 2 bath. Keep me posted. Hi William, You can go onto our website and fill in a buyer profile. 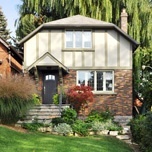 I will receive that information and from there we can set you up to receive MLS listings (which is the real estate database of all houses for sale in Toronto) so you can see what is out on the market and where you think you would prefer to live. I look forward to your response. 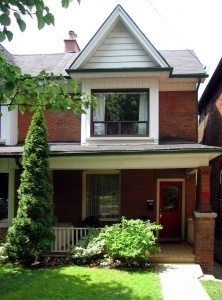 I am looking for a home in the High Park or dufferin Grove area similar to Medland. Would like to know approx how much a upper or lower flat would rent for. 3 bedroom, 1 bath, deck, unfinished basement. Pingback: Moving out of town & looking forward to a change of pace! I like the home that was sold in weston village on Queens drive. I like the home in Weston Village that is where we’d like to live. Your choices of places to live did not include Weston Village, but that is where we’d like to move in the not so distant future. At the moment we live in a new brownstone made by conservatory group builders in Oakdale Village facing the 400 HWY between Sheppard and Wilson Ave. Thanks Ant. Vizcaino.